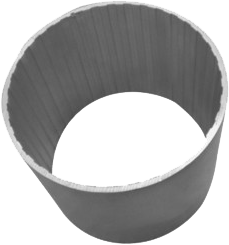 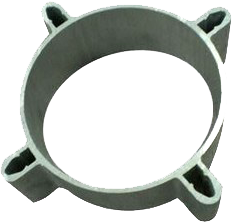 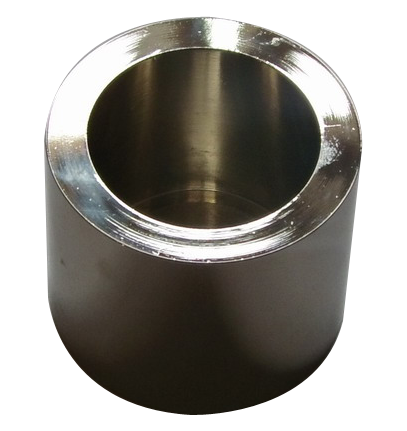 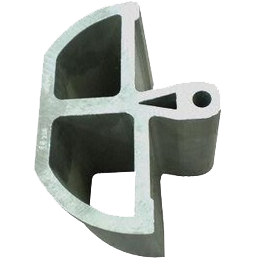 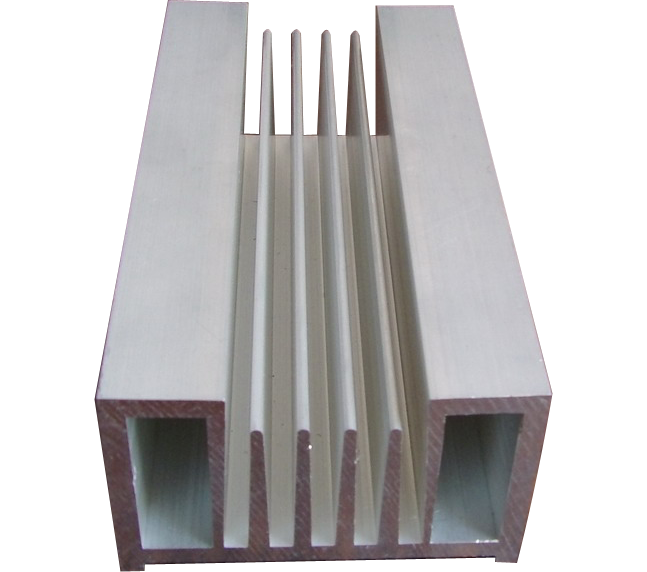 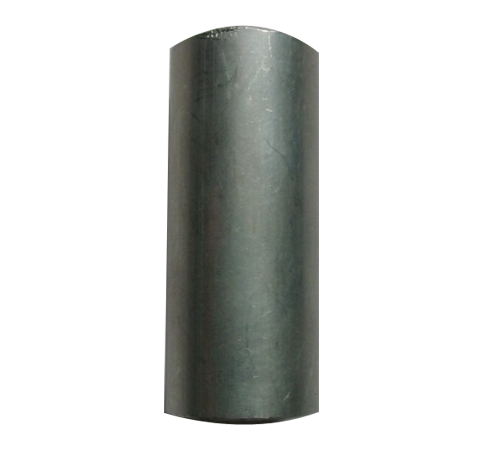 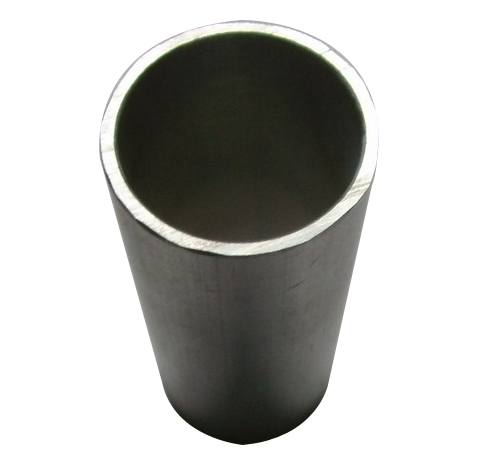 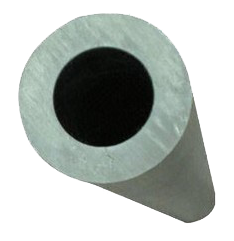 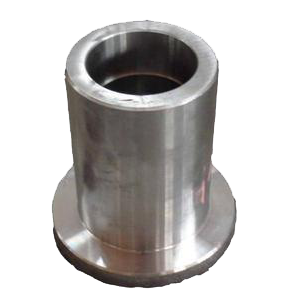 Aluminum Extrusion is the process of forcing a material through a mask nozzle under high pressure, creating rails with a very detailed, linear, cross section profile. 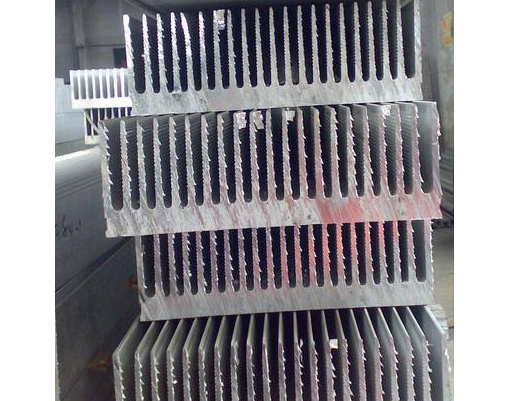 The rails can then be cut into individual slices or pieces or processed further. 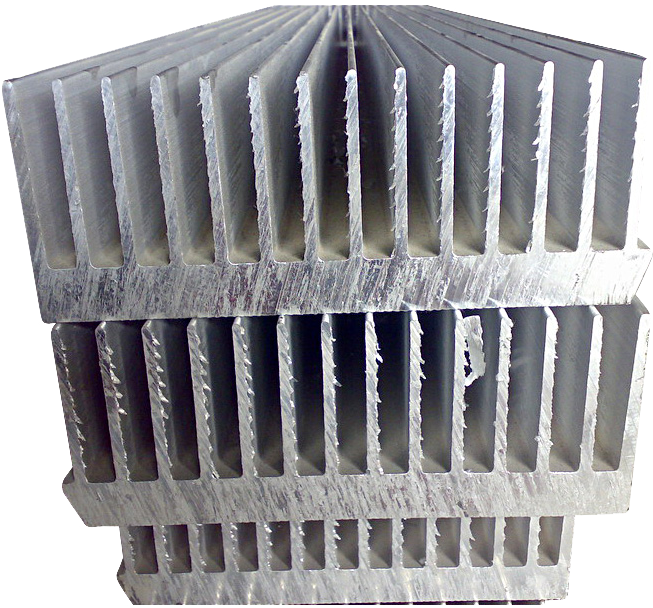 The raw material of aluminum is usually cut into logs, heated, and then forced through the mask. 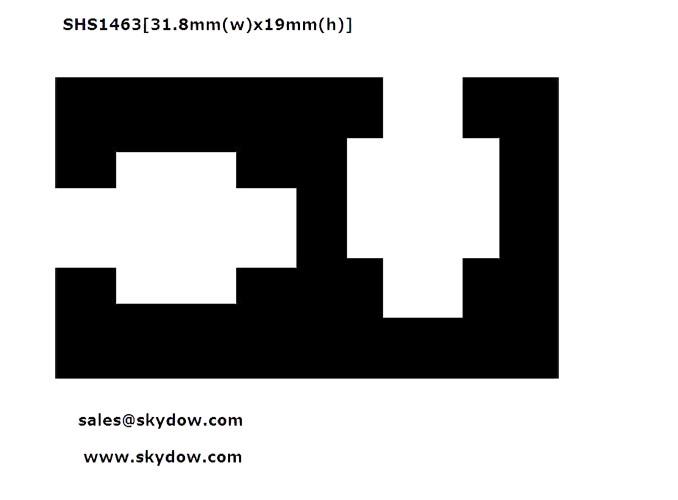 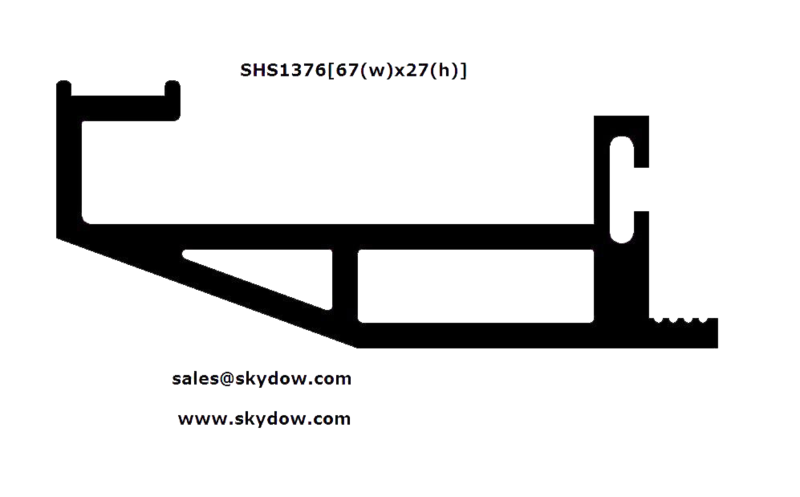 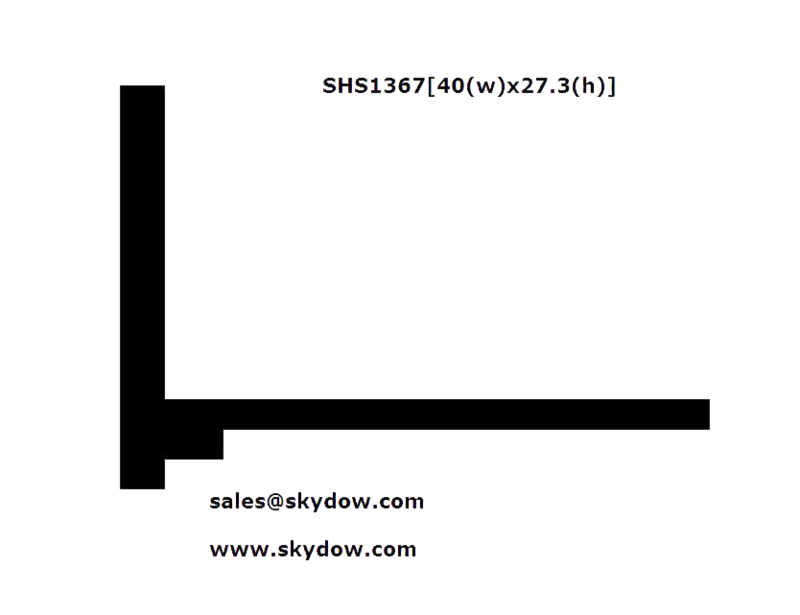 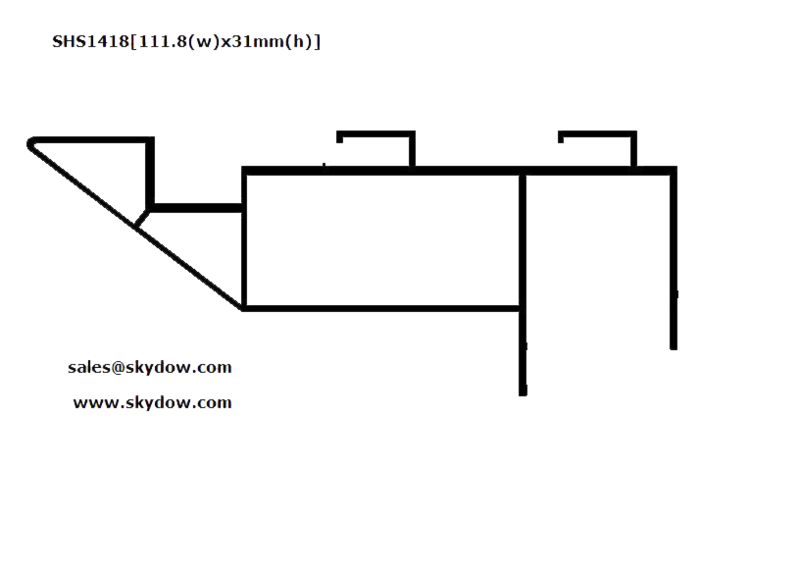 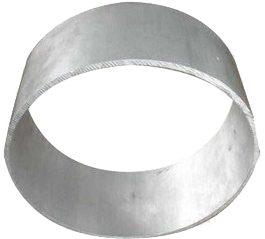 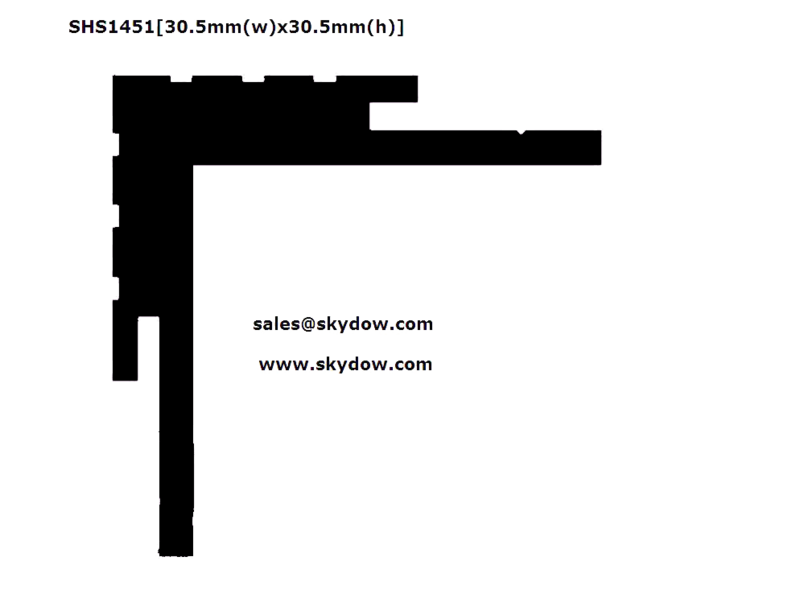 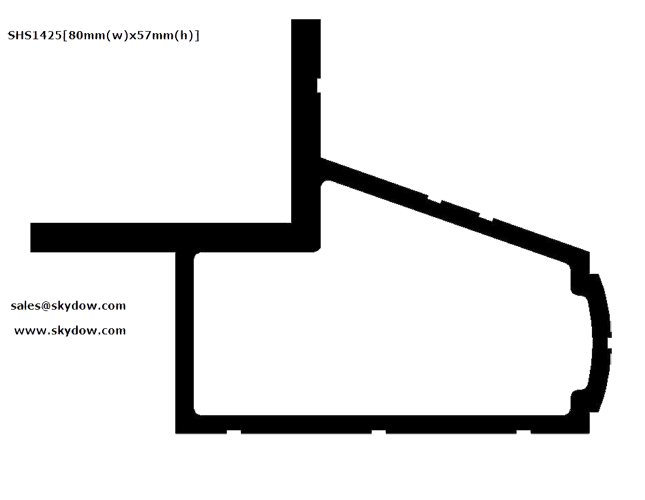 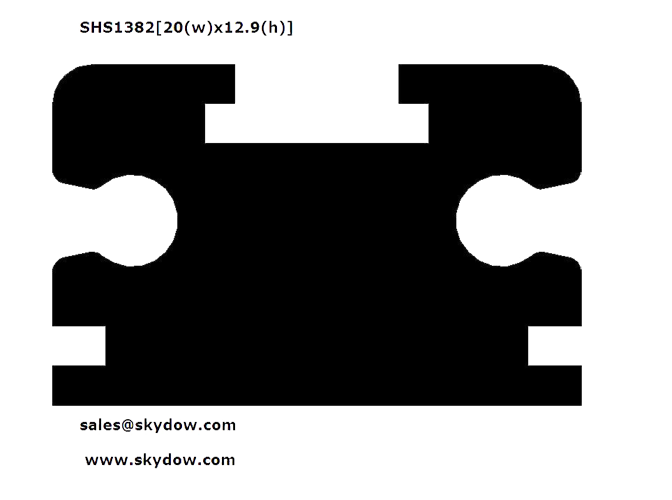 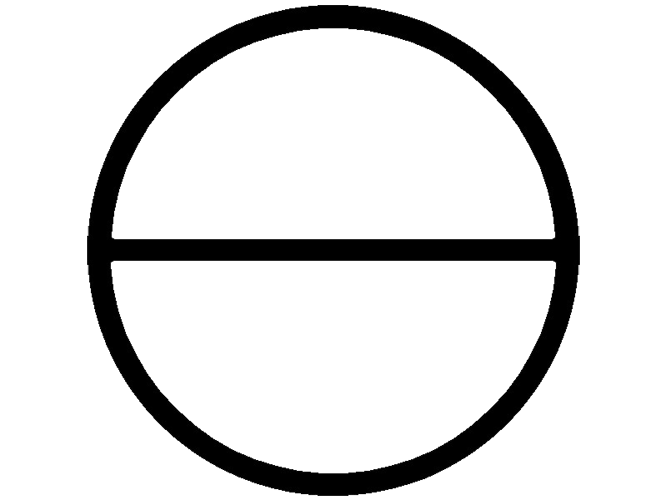 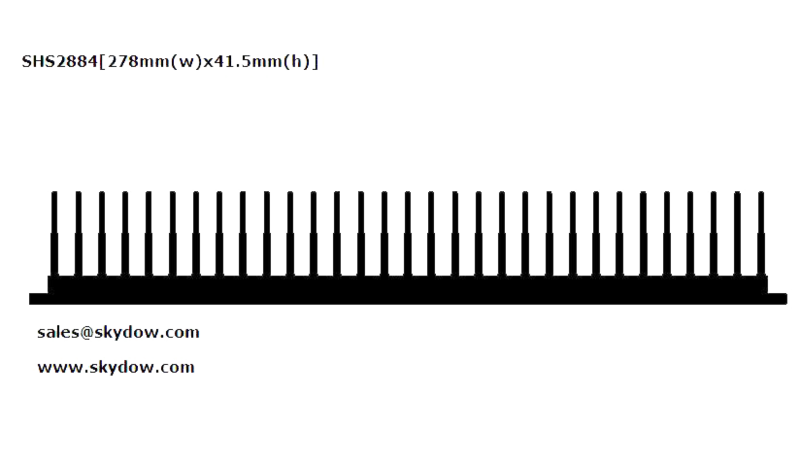 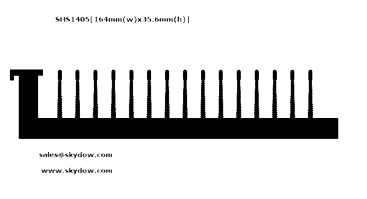 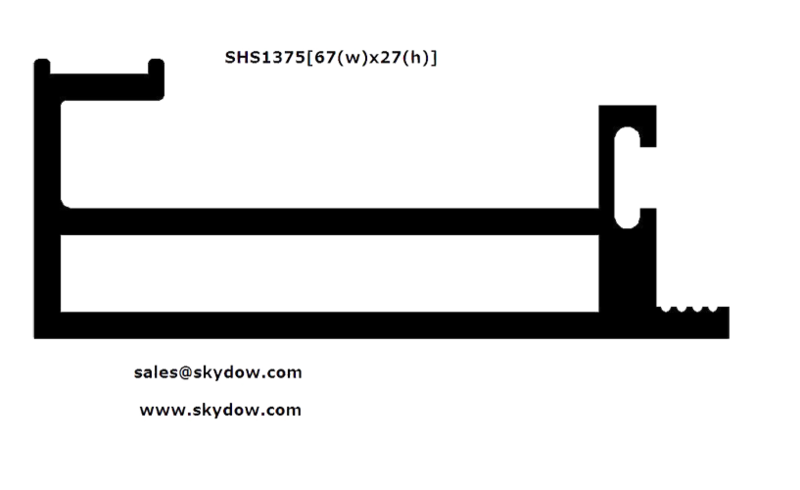 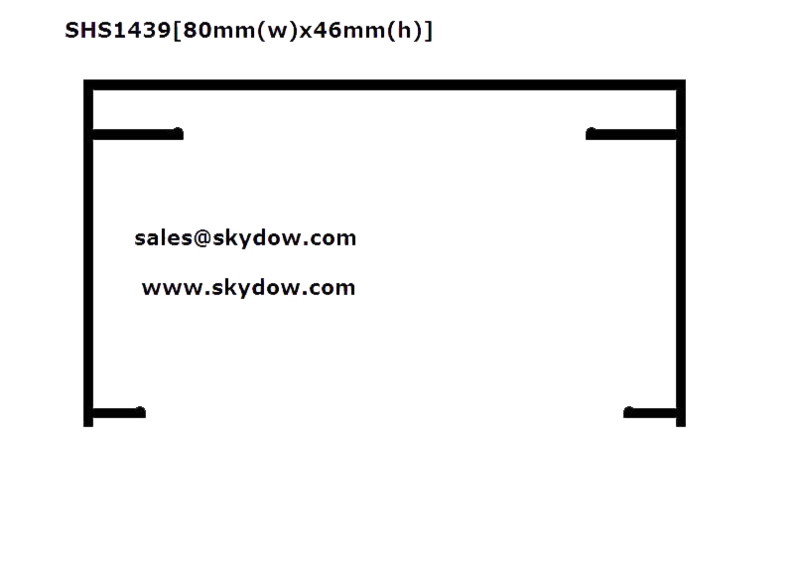 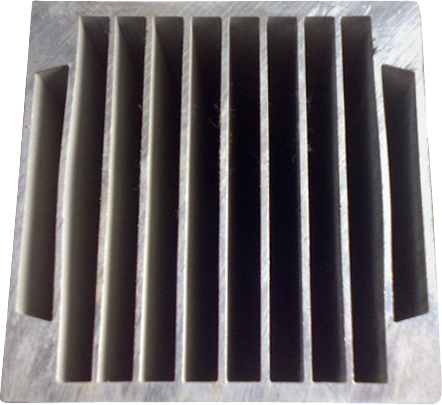 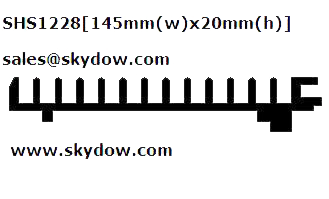 Depending on the complexity of the desired cross section profile, relatively long tunnel masks or several mask steps are used. 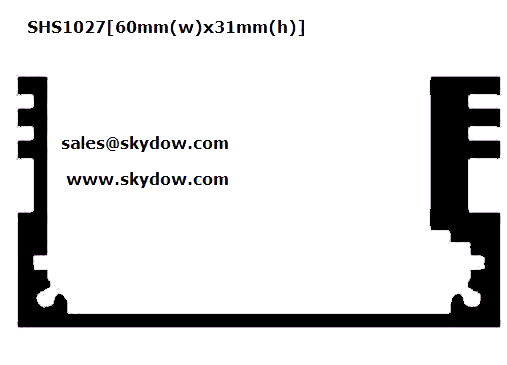 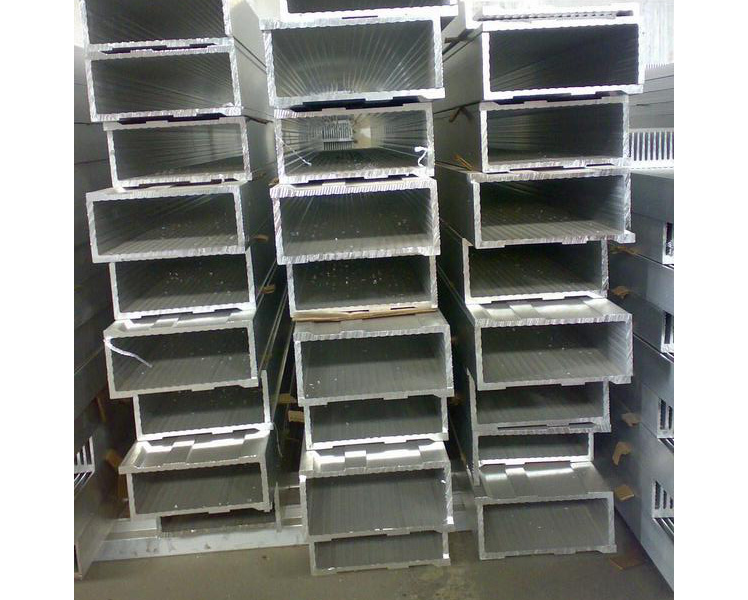 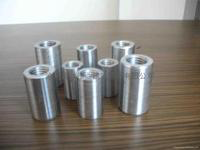 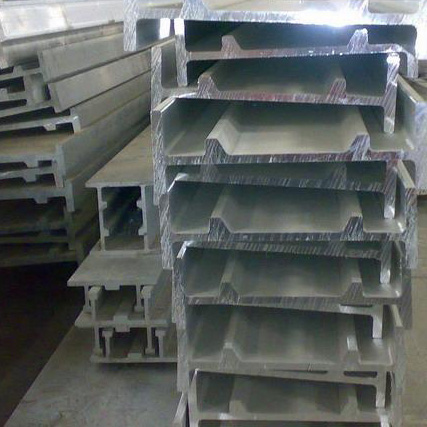 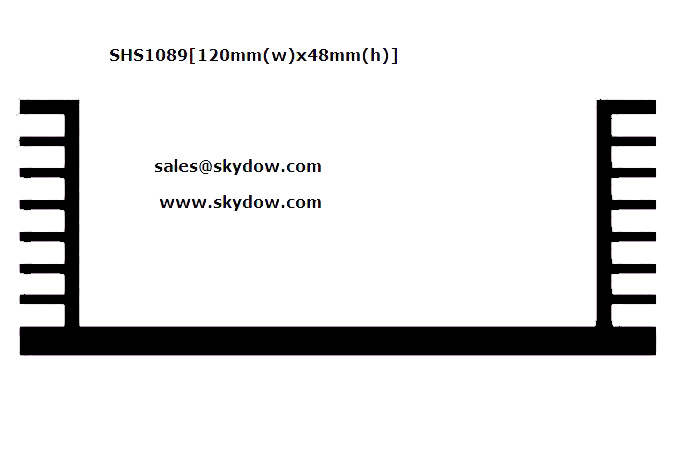 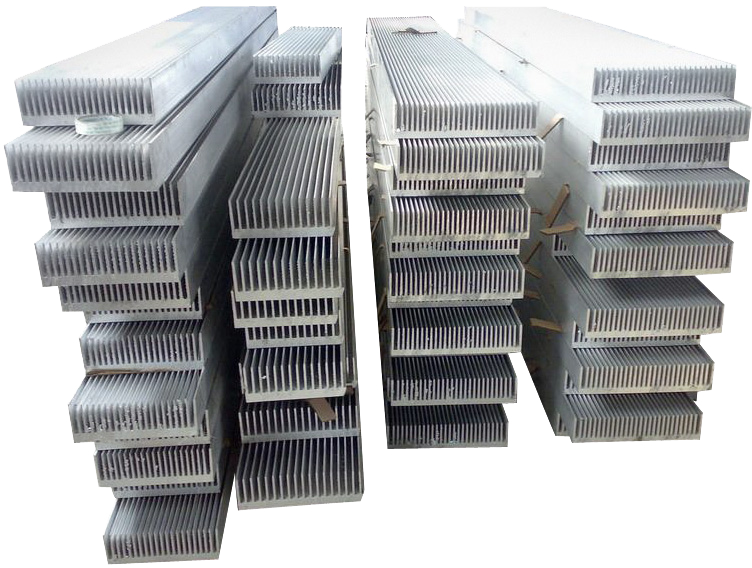 The rails are then cooled, cut, hardened and optionally undergo further post processing or refining steps. 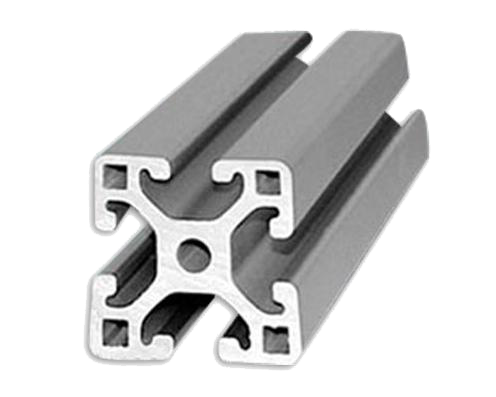 Our high quality and certified aluminum materials, automated extrusion presses, and kevlar handling system provide an ideal environment to develop precision aluminum extrusions. 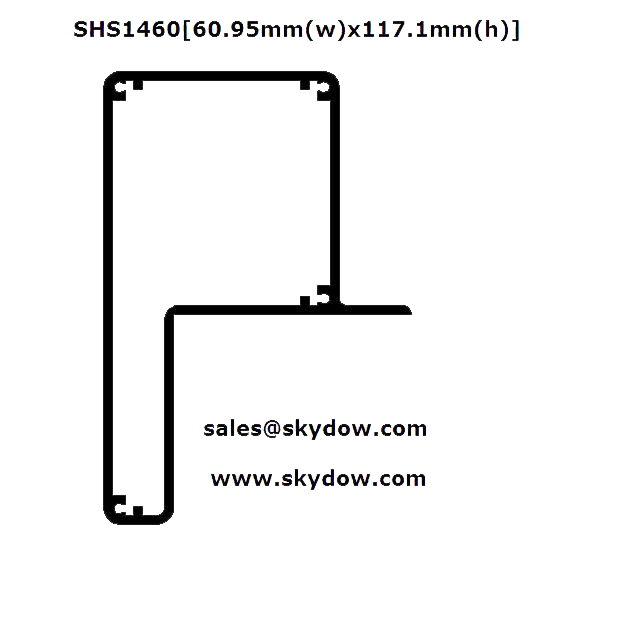 Simple or complicated shapes, long or short production runs, SKYDOW can provide virtually any aluminium extrusion you require at a quality level that meets your specifications. 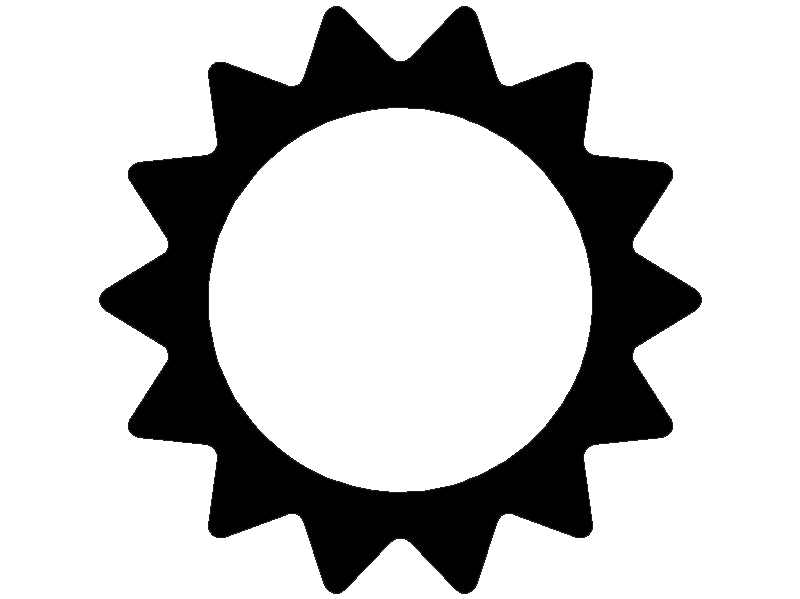 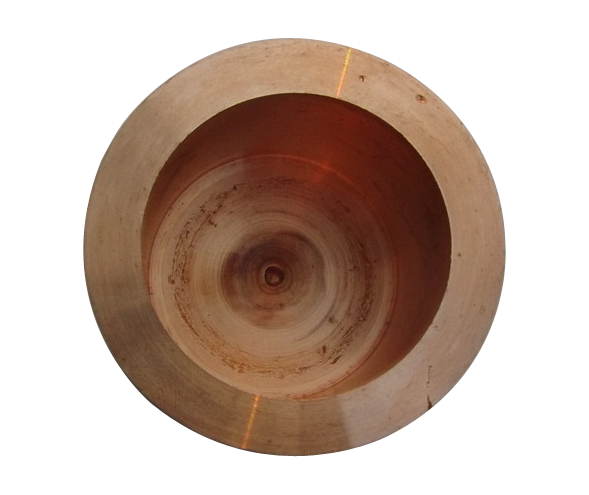 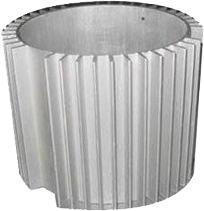 We have the most extensive tooling selections. 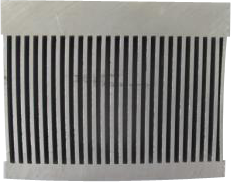 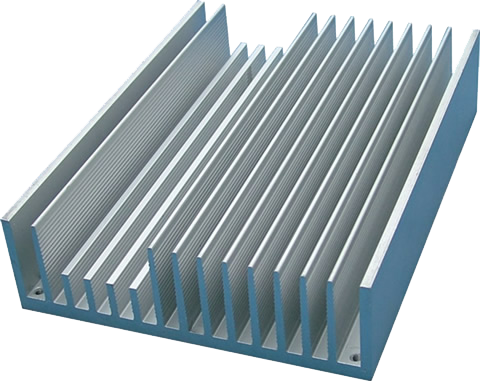 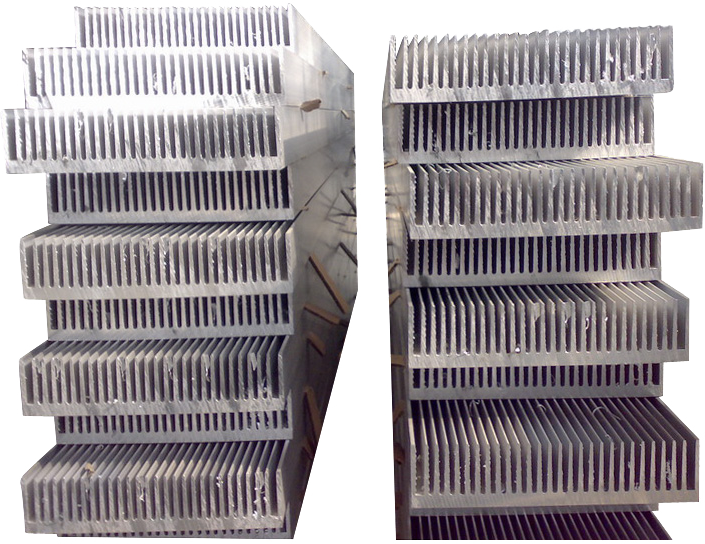 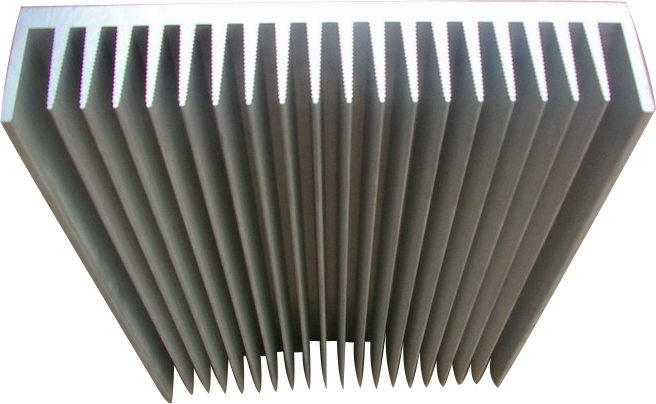 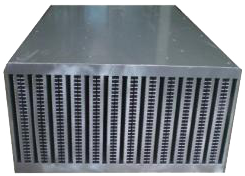 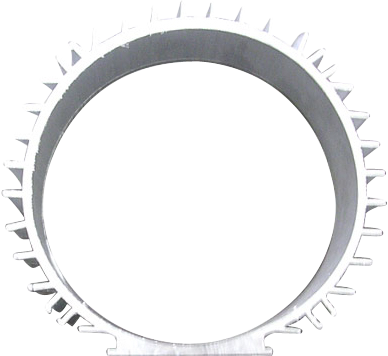 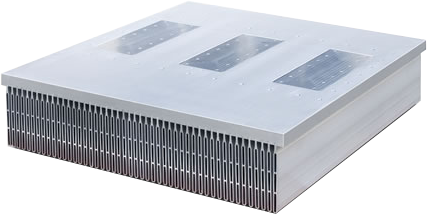 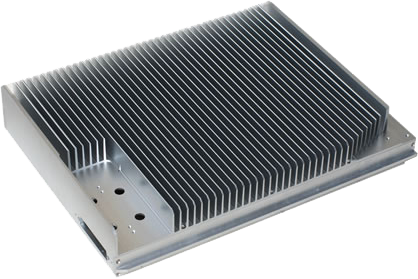 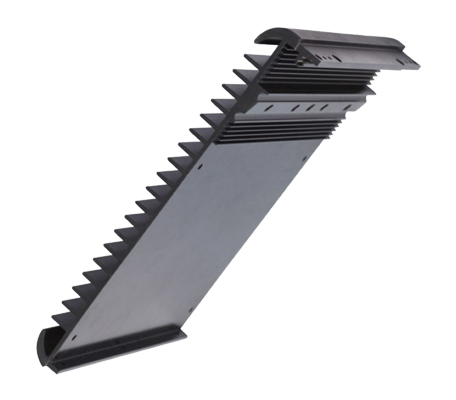 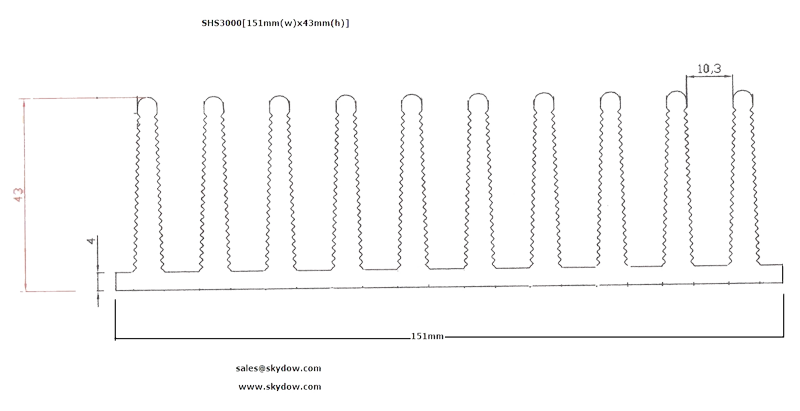 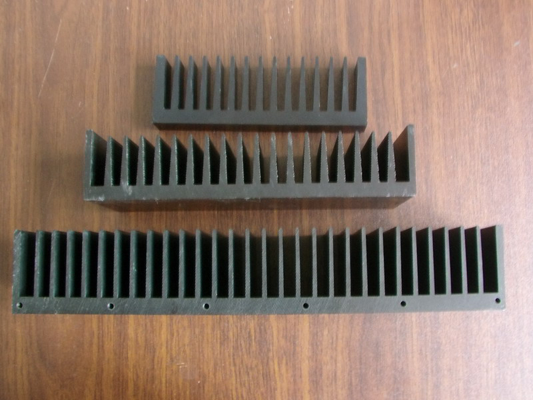 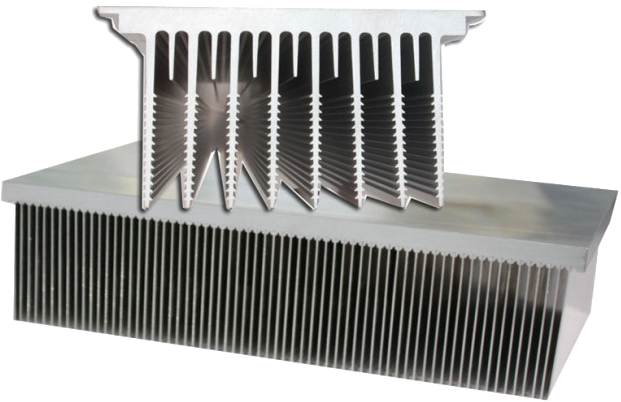 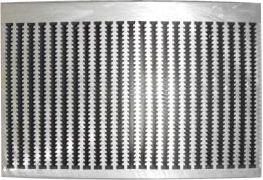 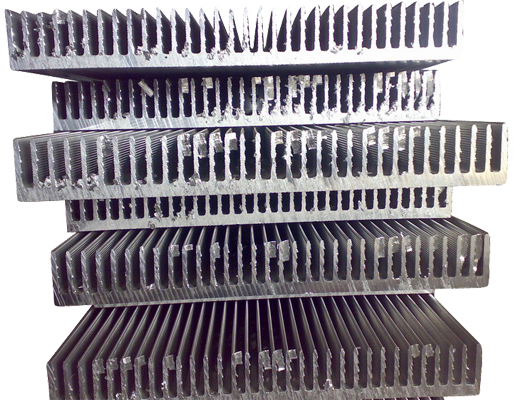 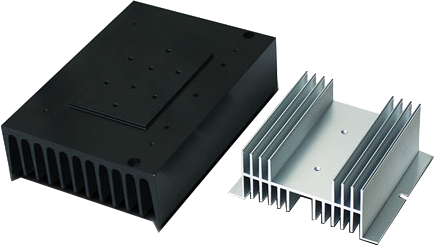 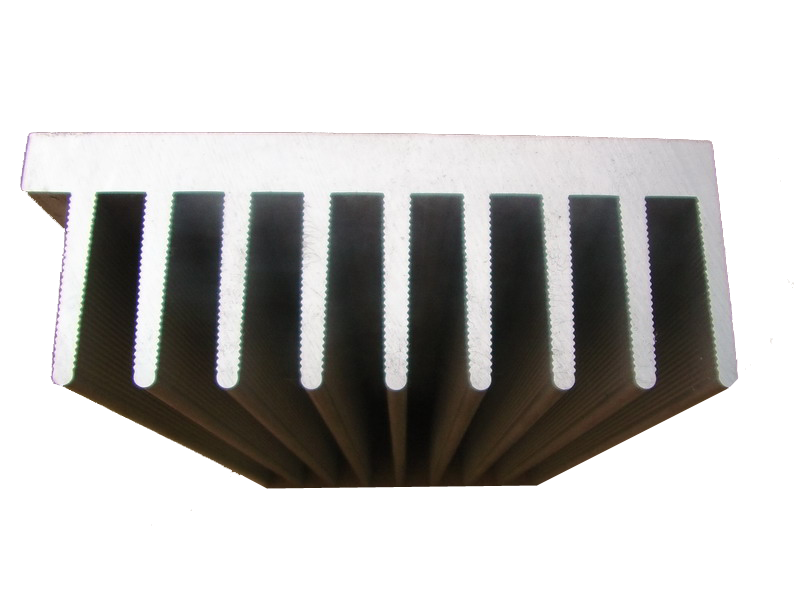 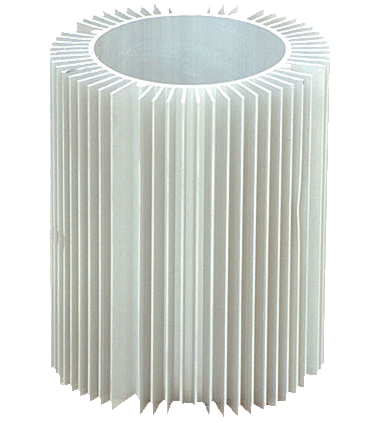 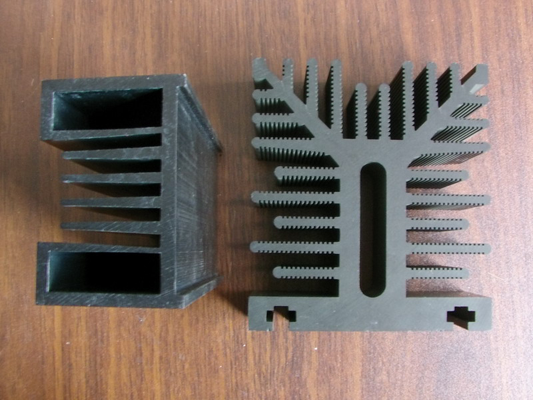 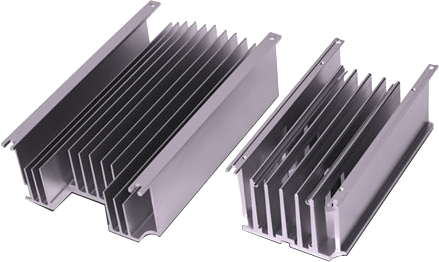 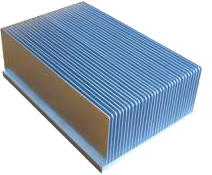 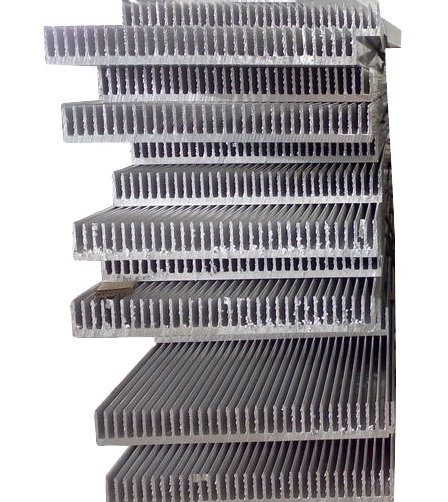 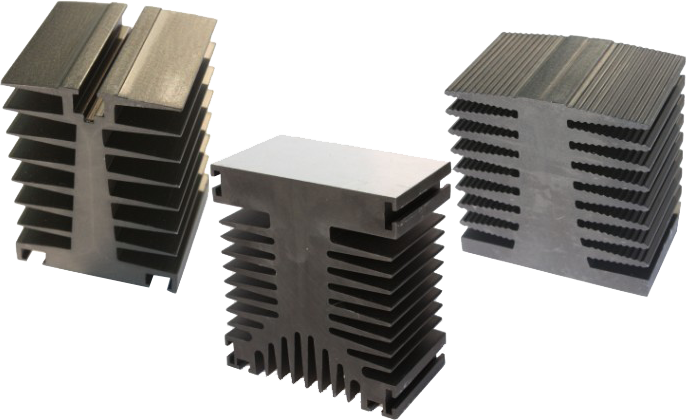 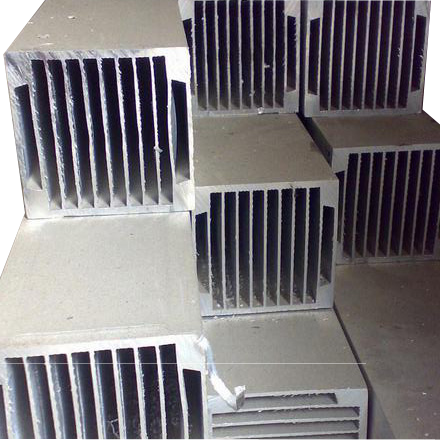 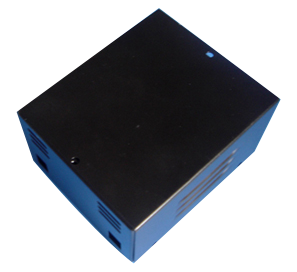 We use the most popular 6063 aluminum alloys for heat sinks and radiators applications. 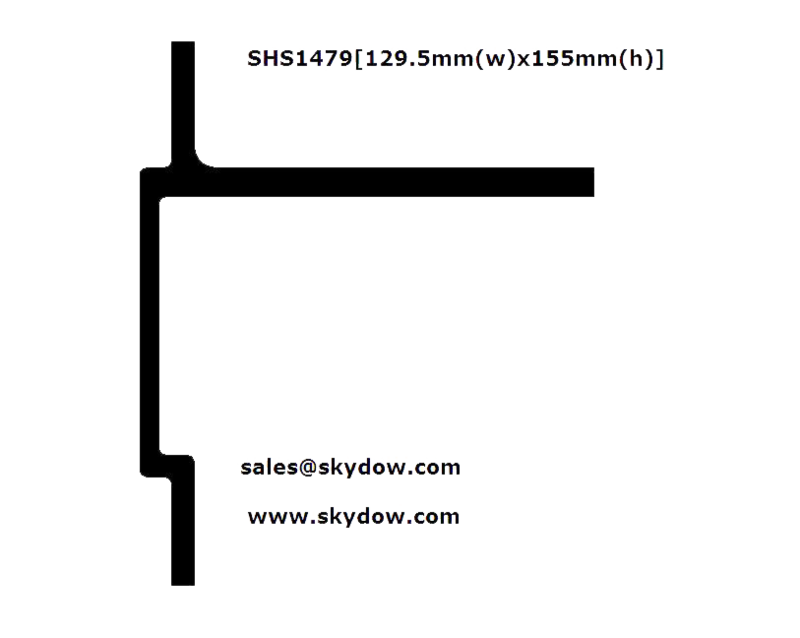 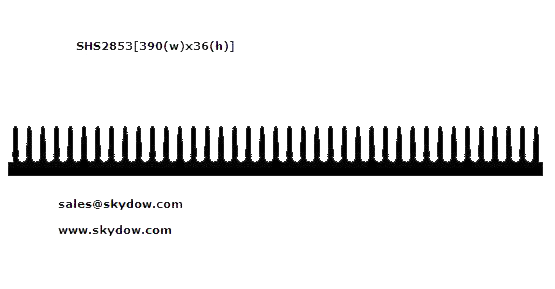 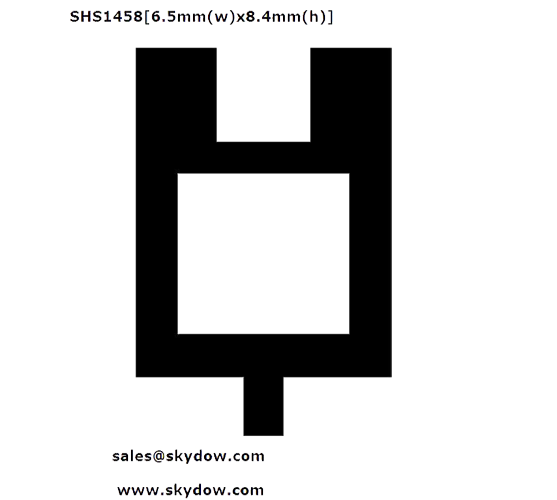 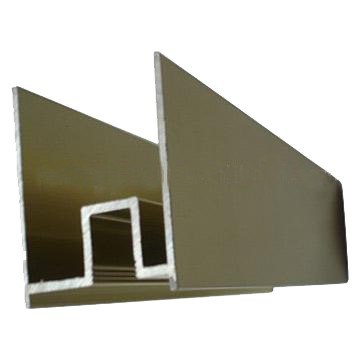 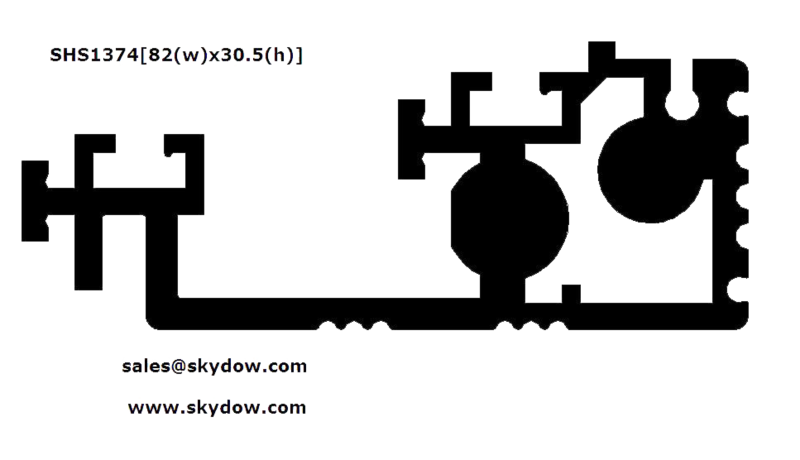 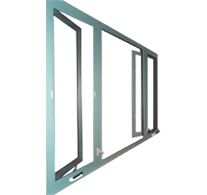 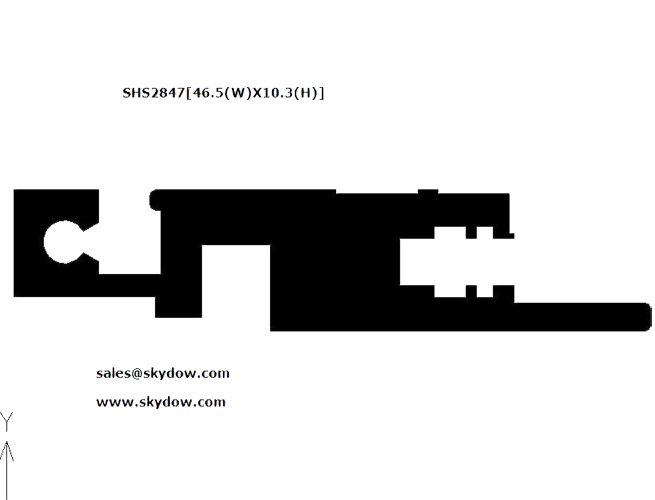 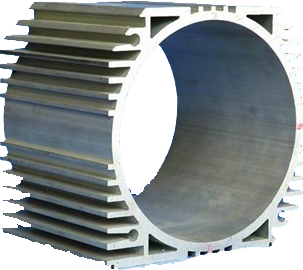 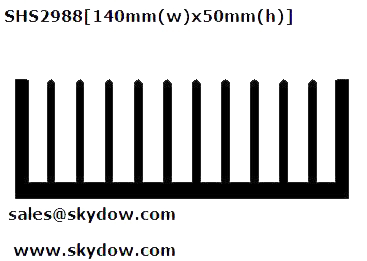 Tianjin Skydow Metal Parts Co., Ltd. is also the main supplier of aluminum extrusion profiles in Mainland China, and we have been exporting the aluminium extrusion profiles to Europe, North America, South America, Asia, and Africa about 10 years. 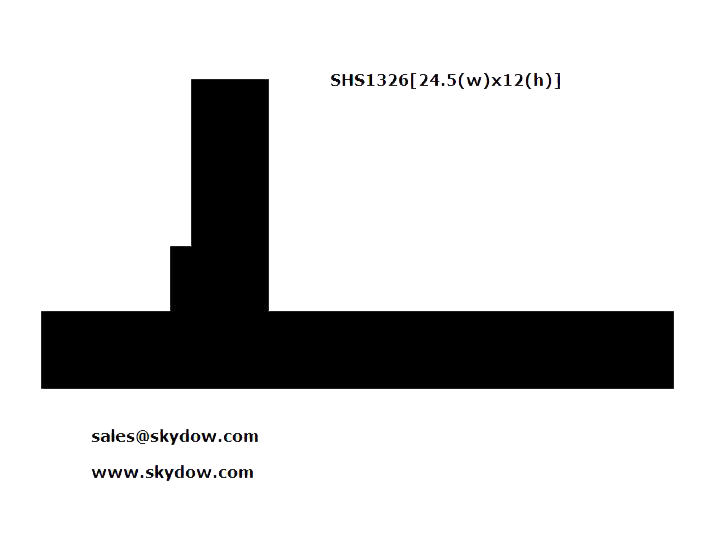 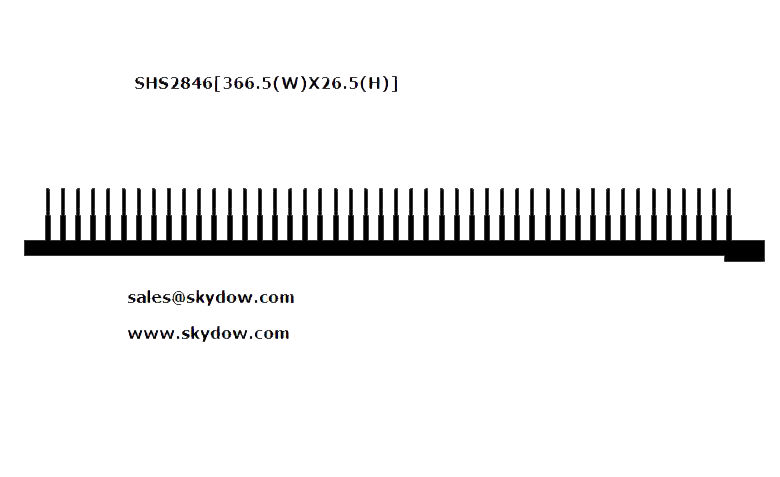 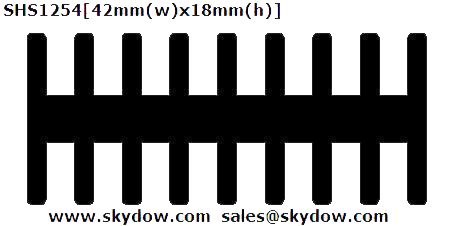 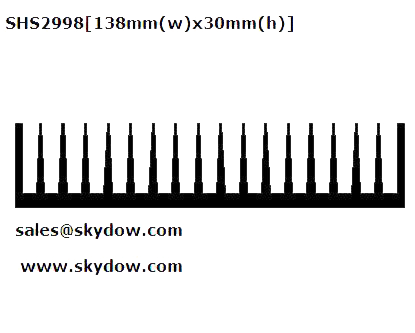 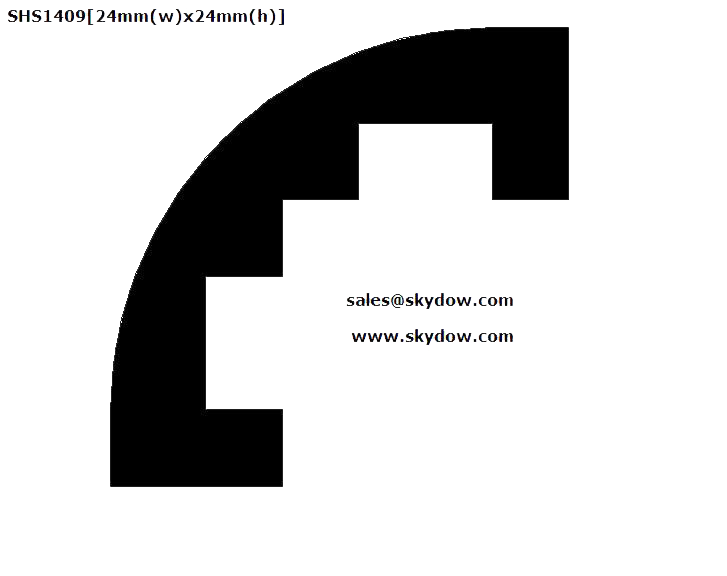 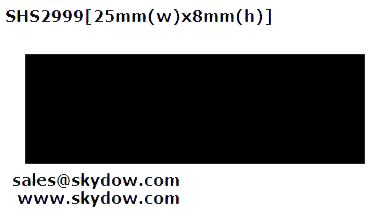 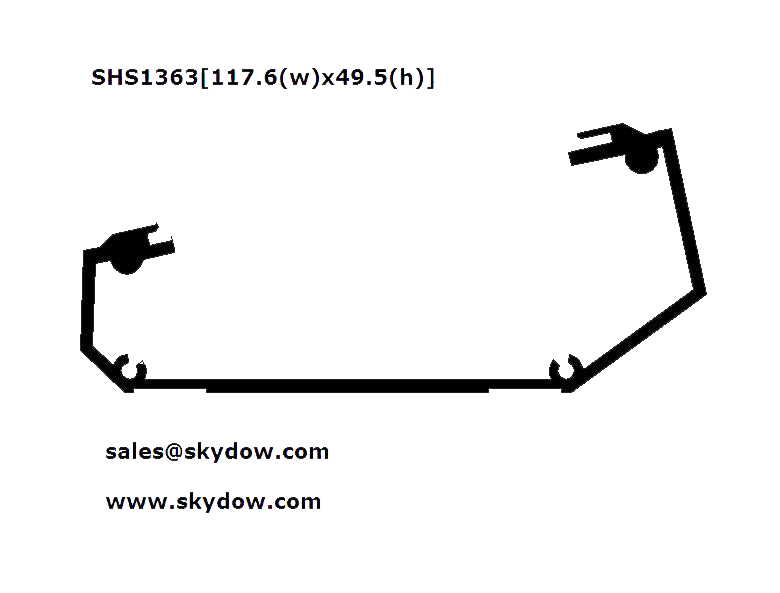 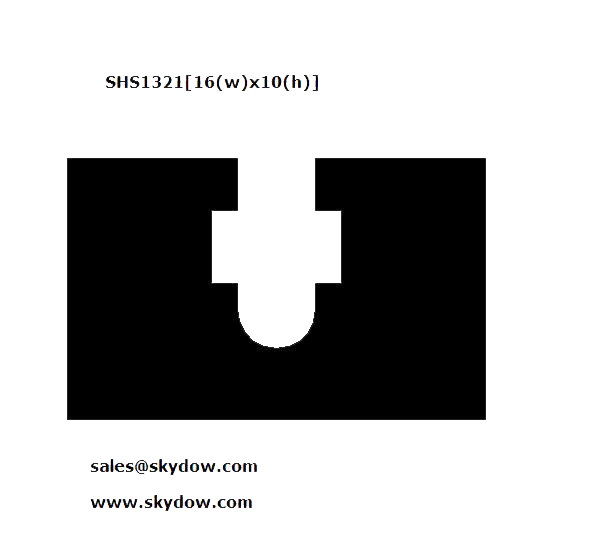 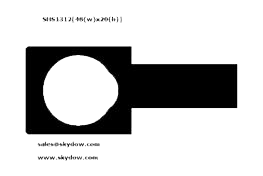 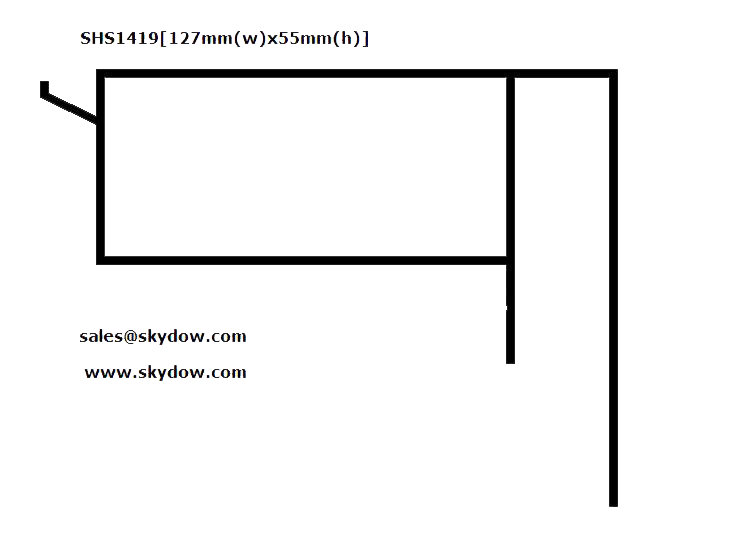 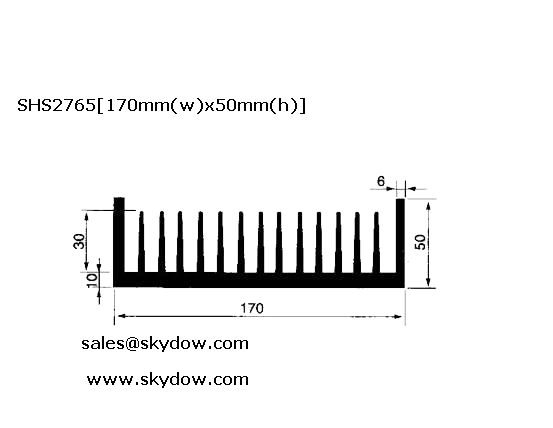 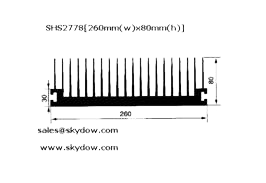 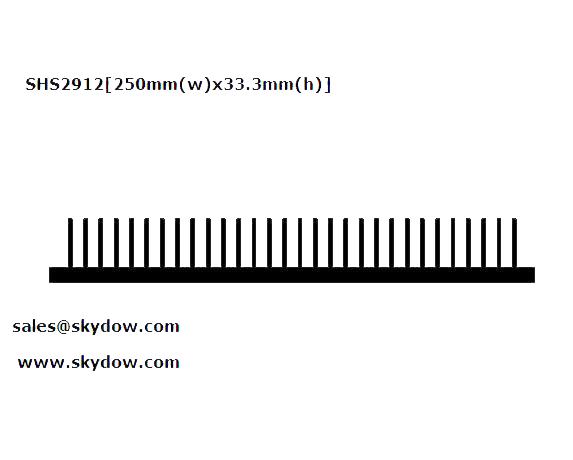 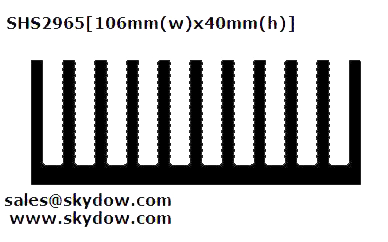 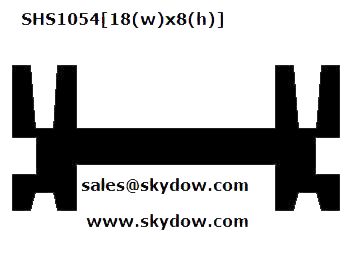 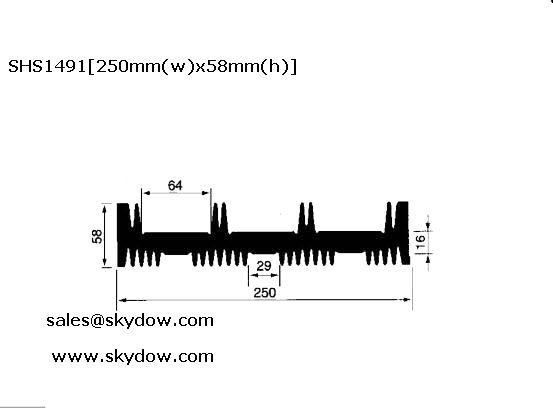 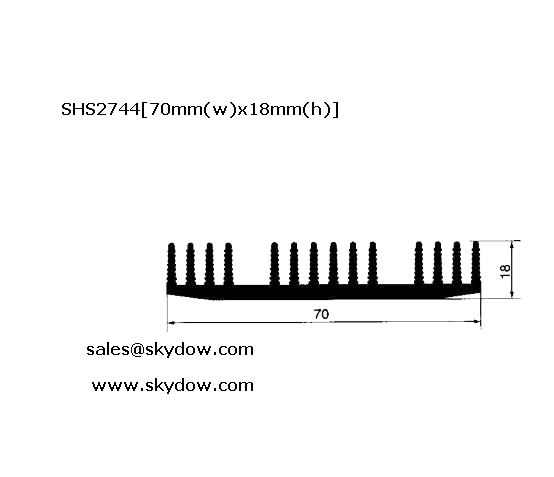 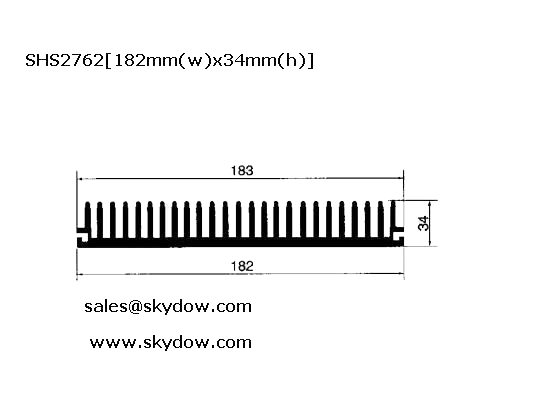 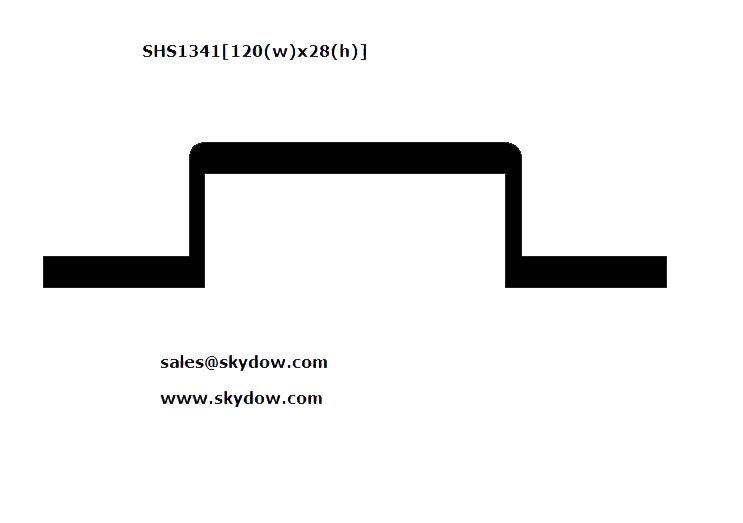 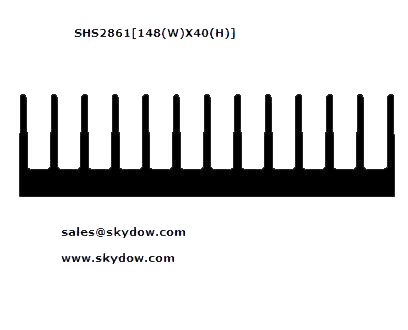 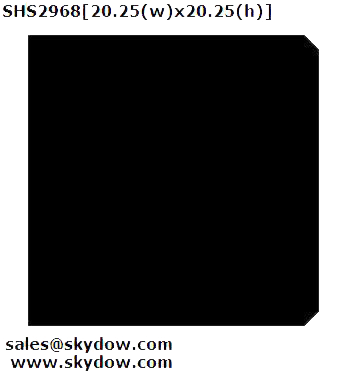 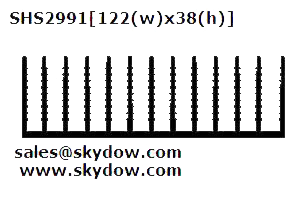 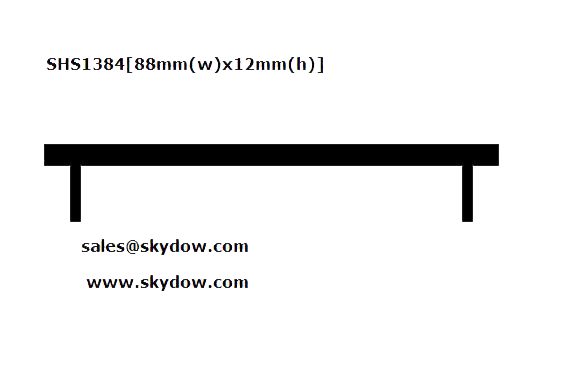 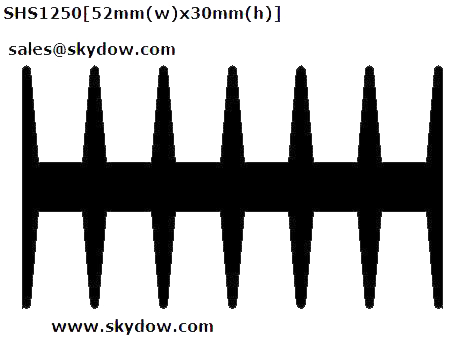 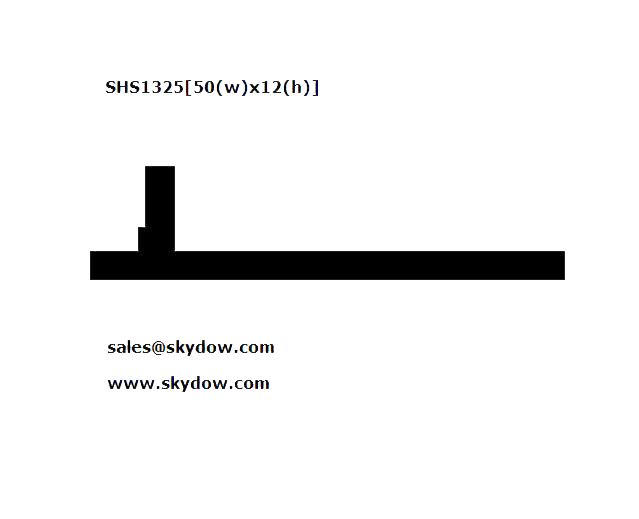 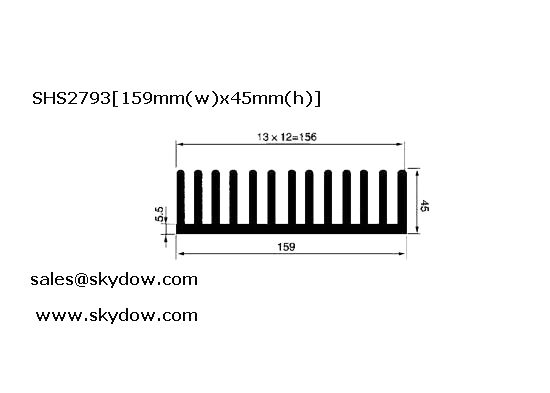 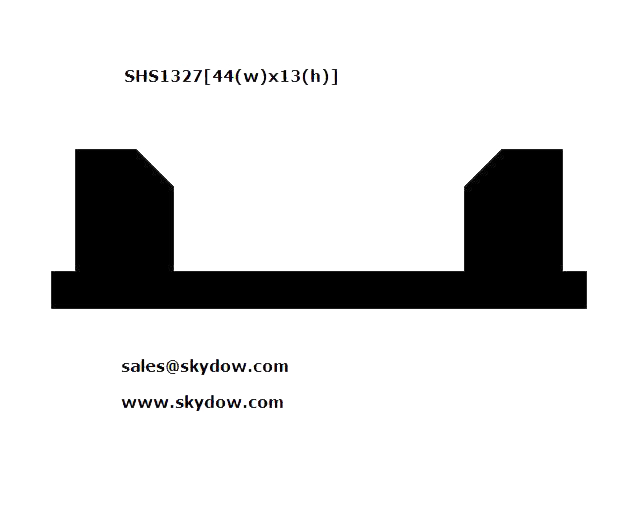 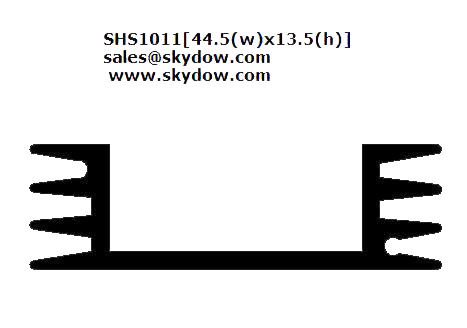 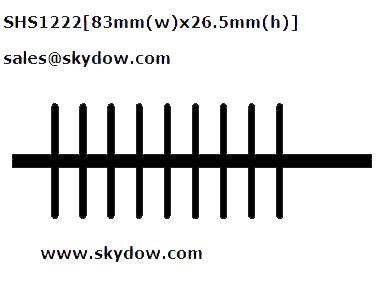 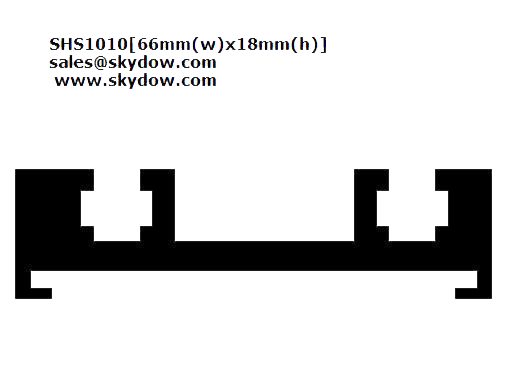 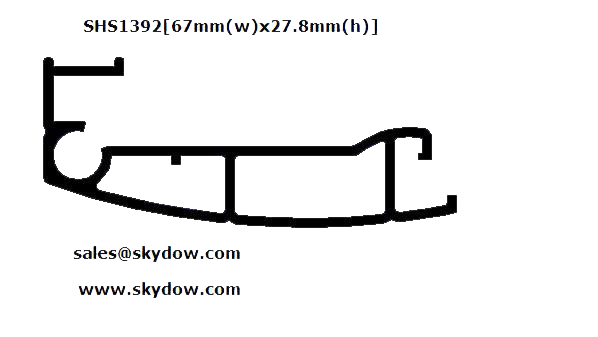 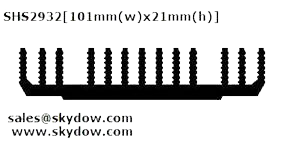 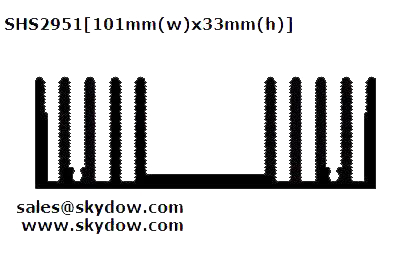 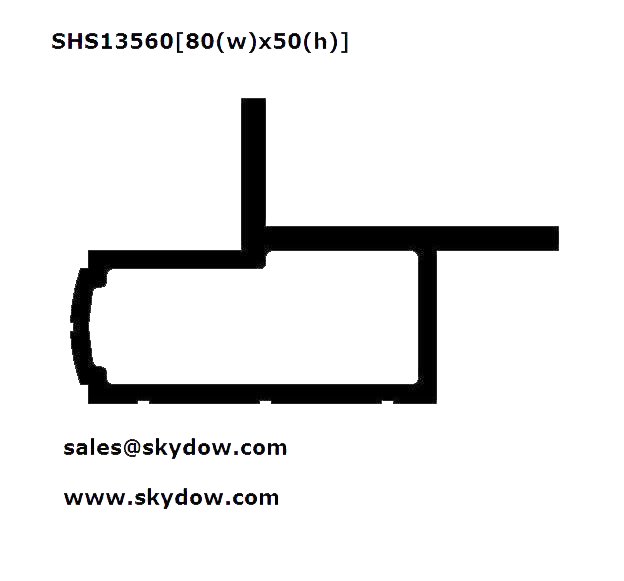 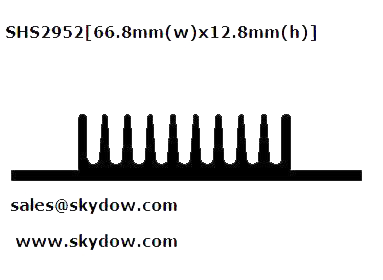 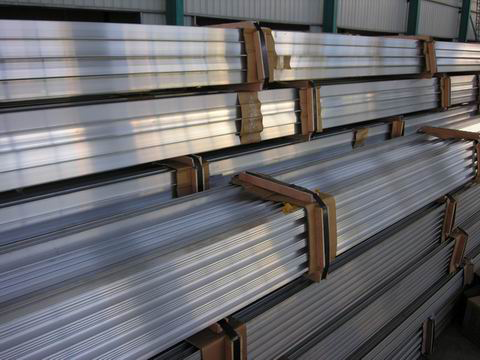 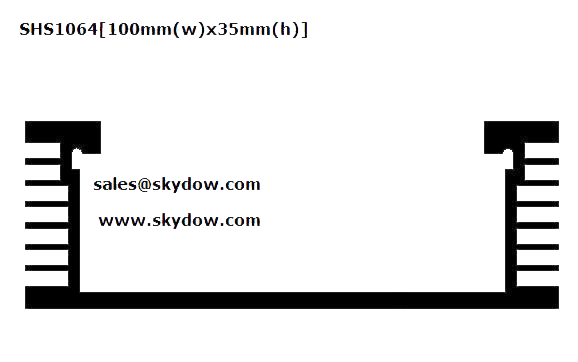 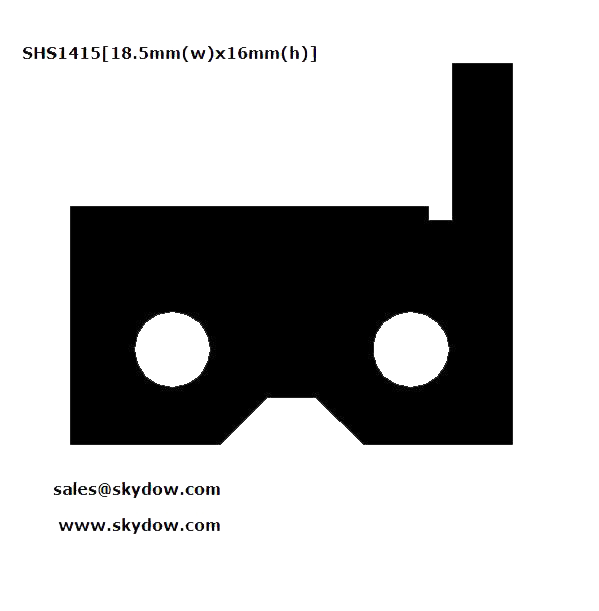 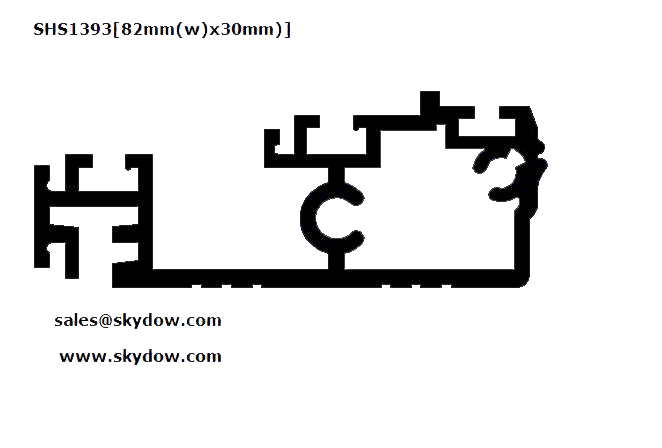 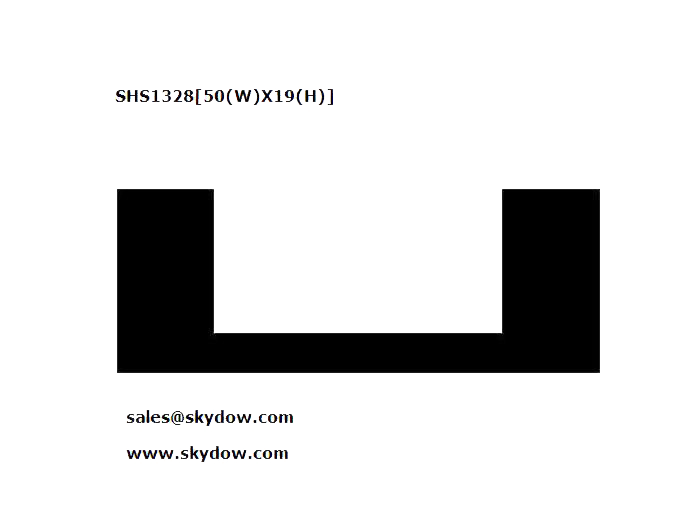 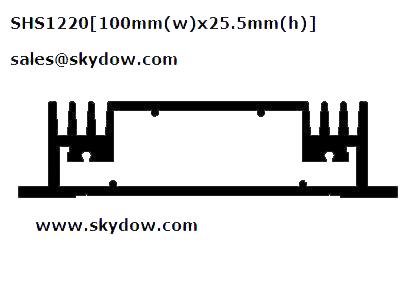 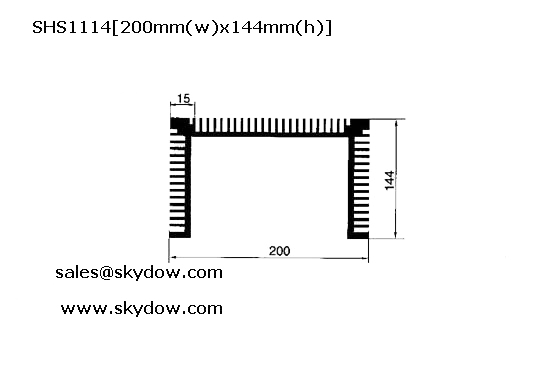 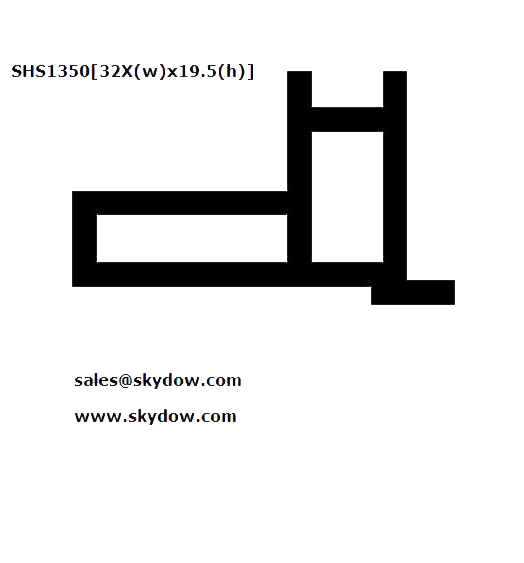 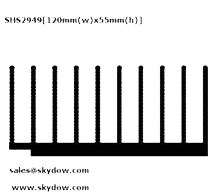 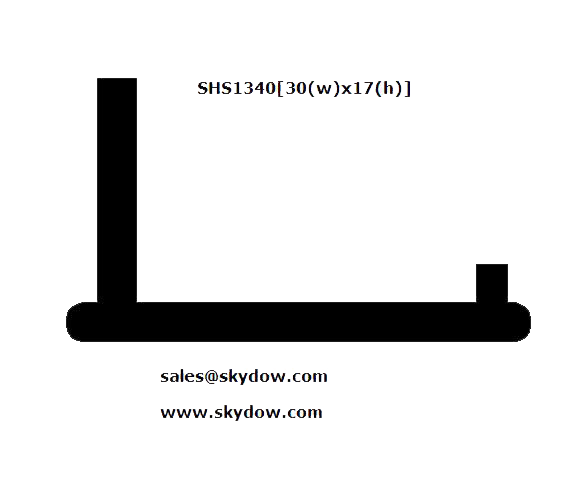 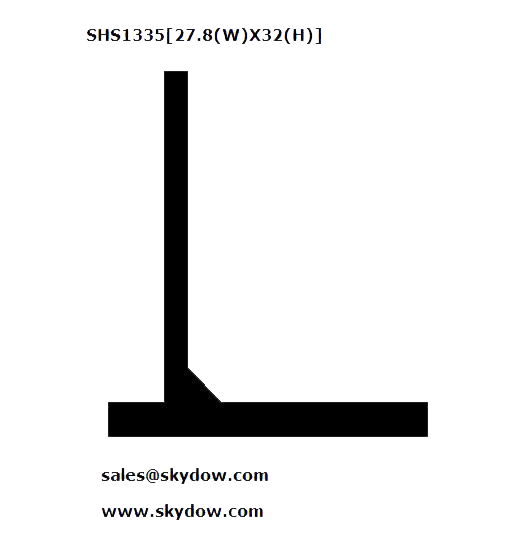 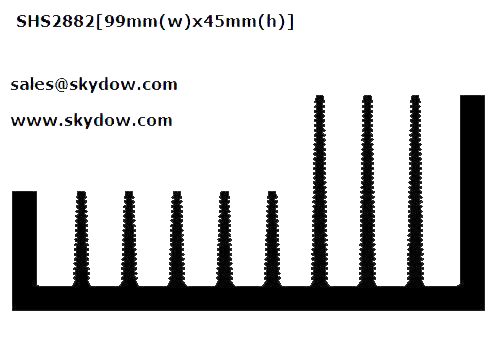 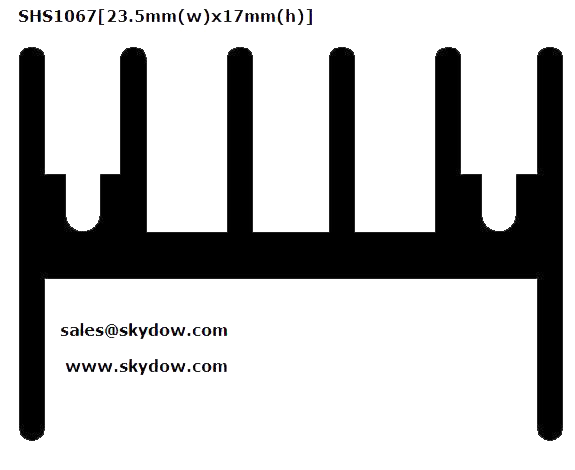 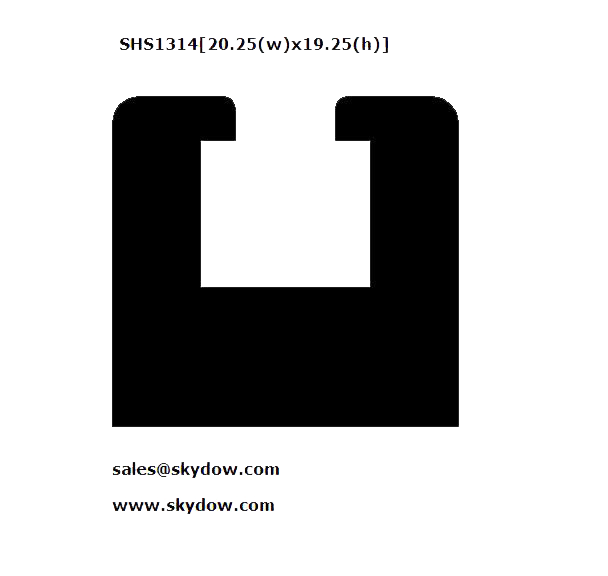 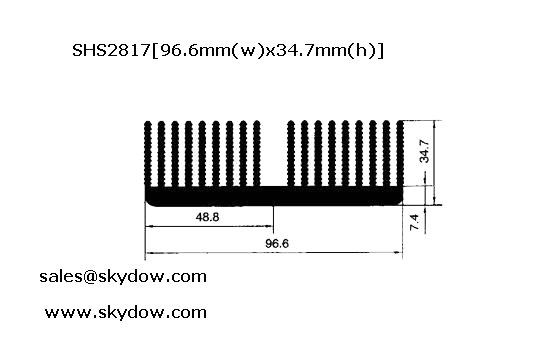 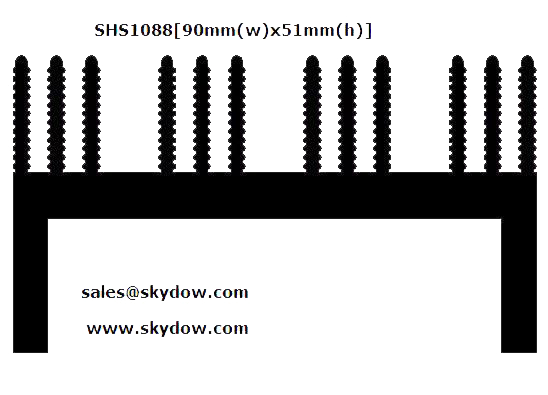 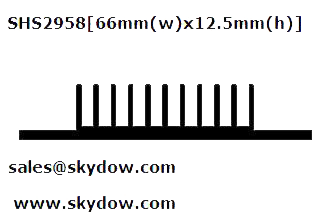 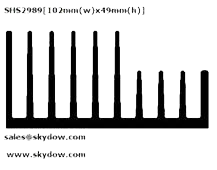 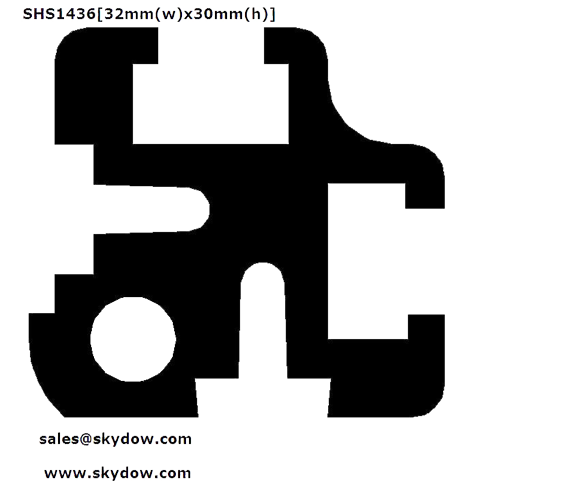 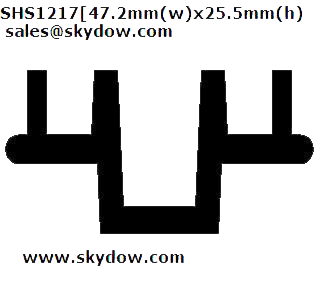 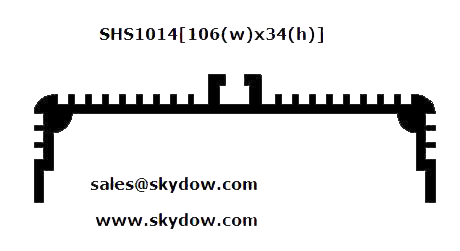 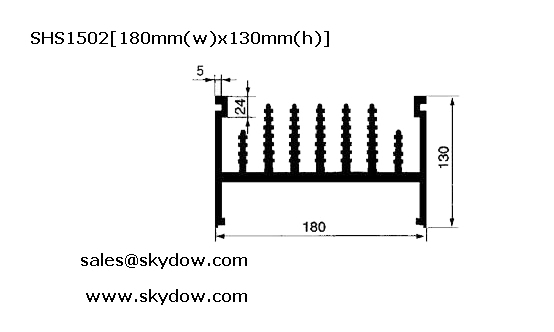 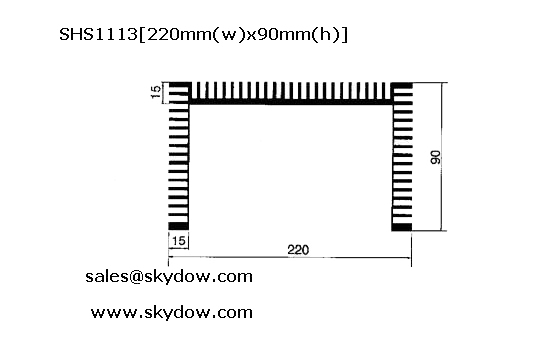 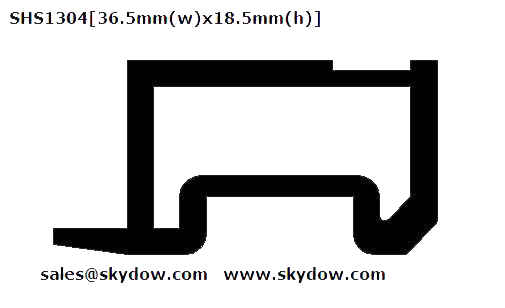 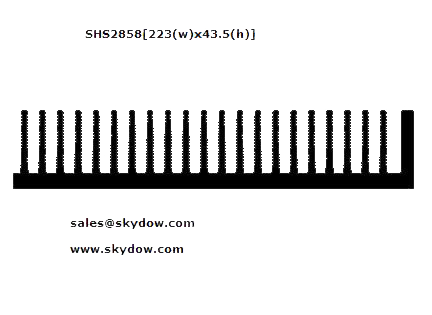 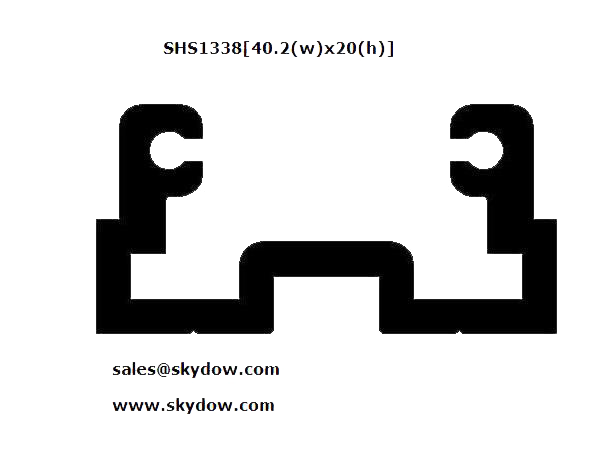 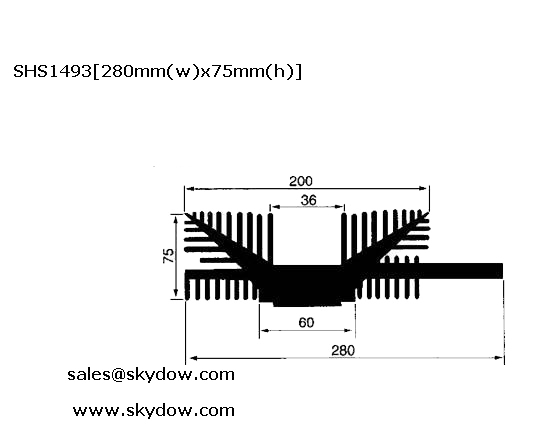 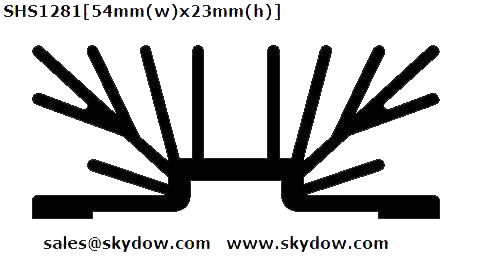 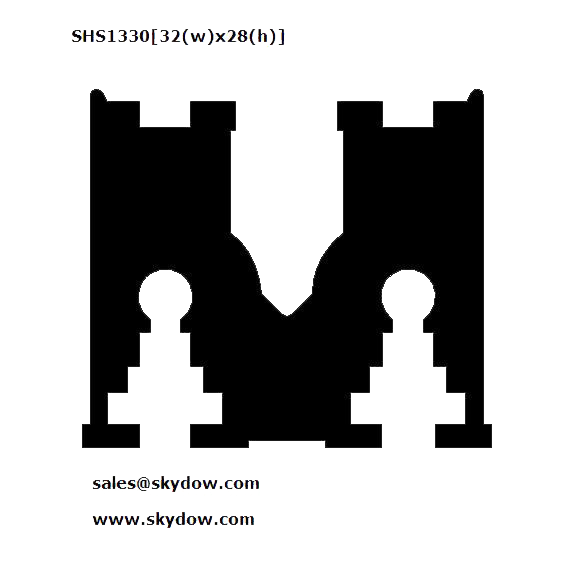 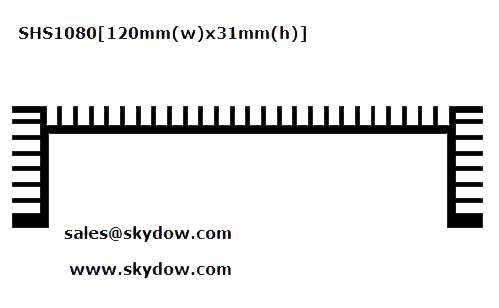 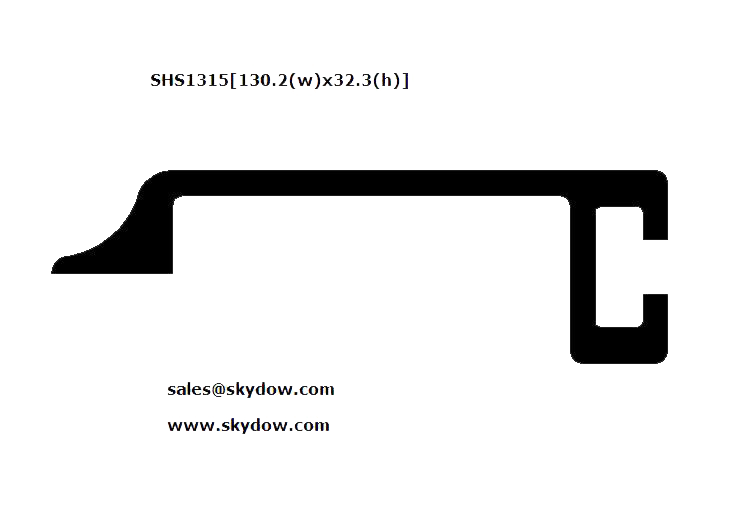 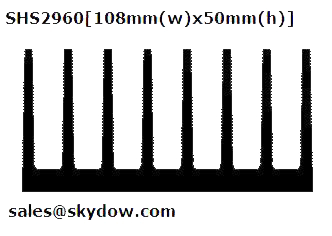 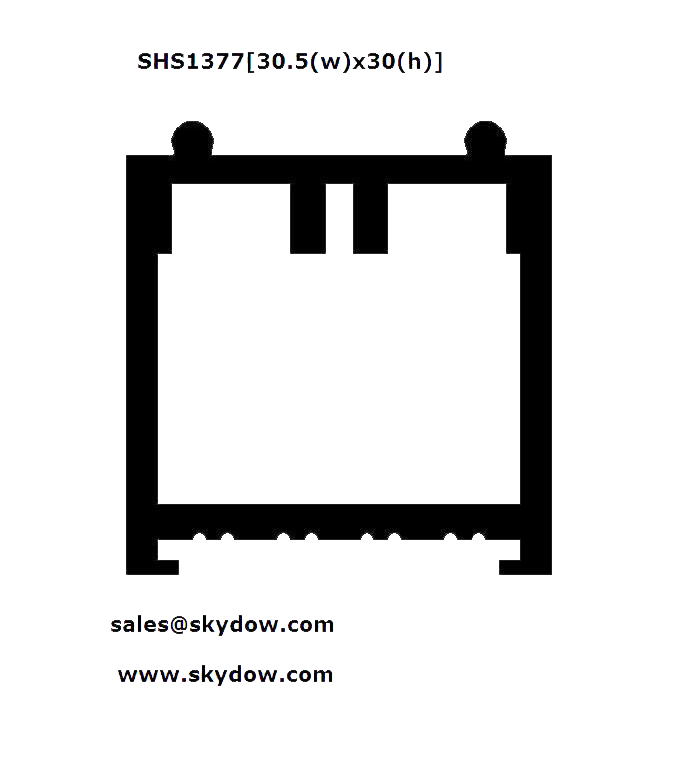 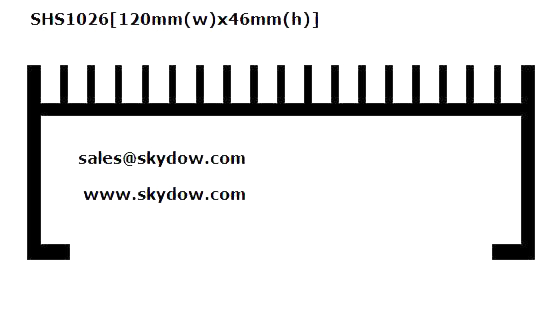 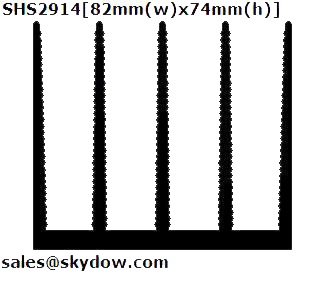 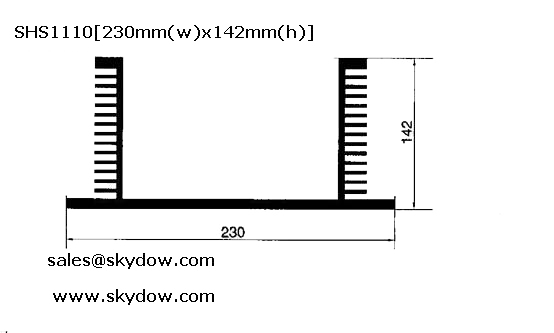 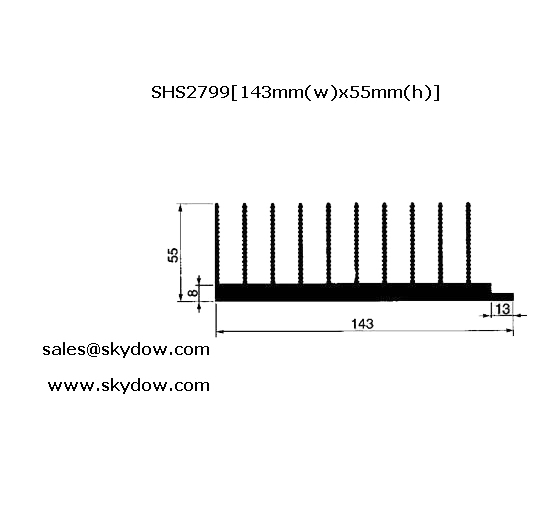 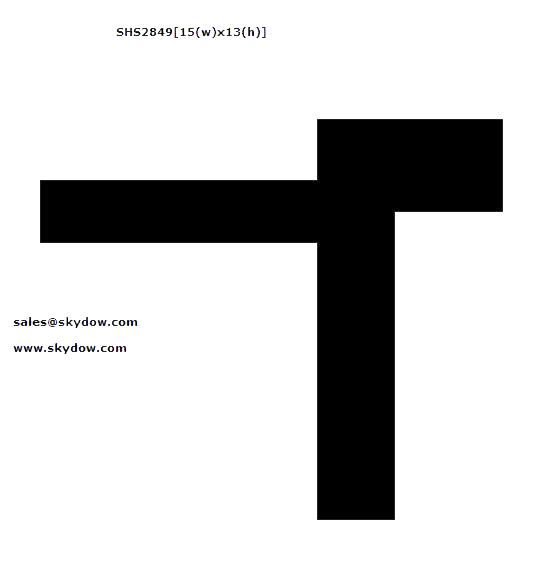 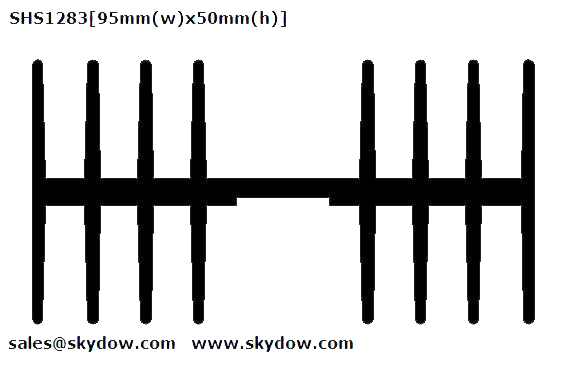 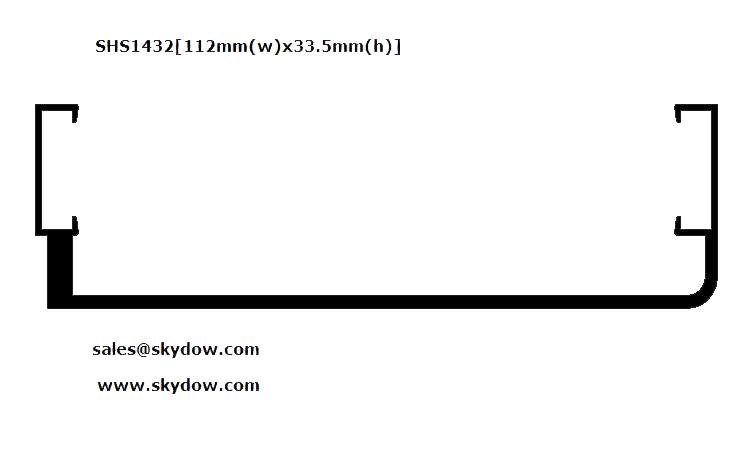 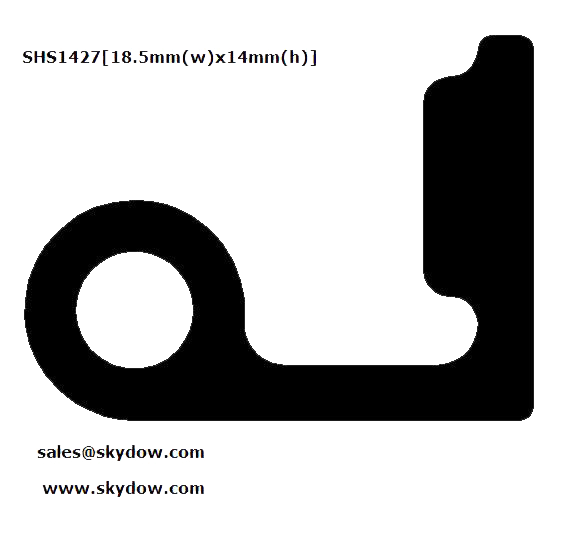 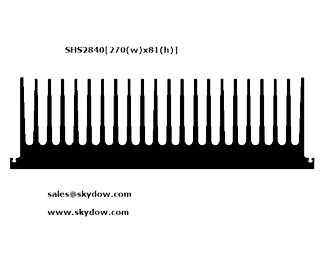 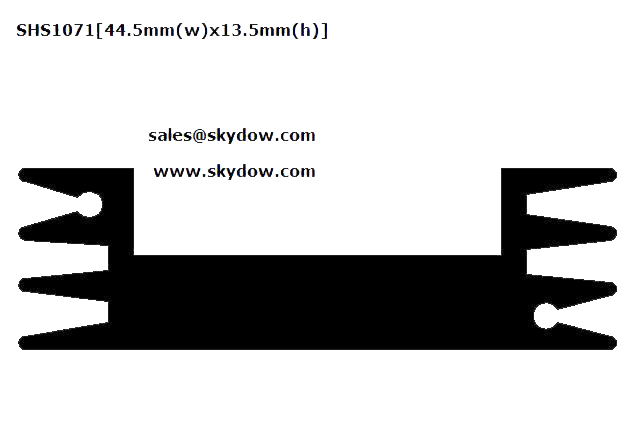 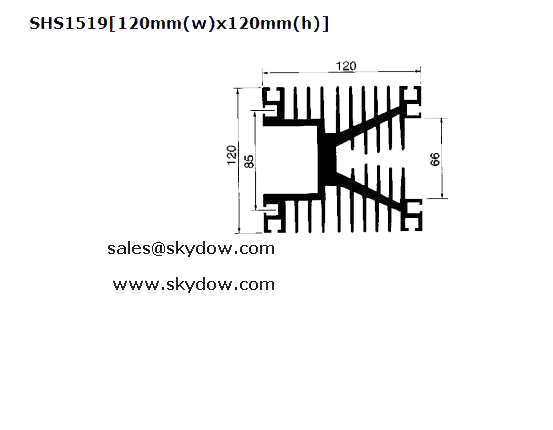 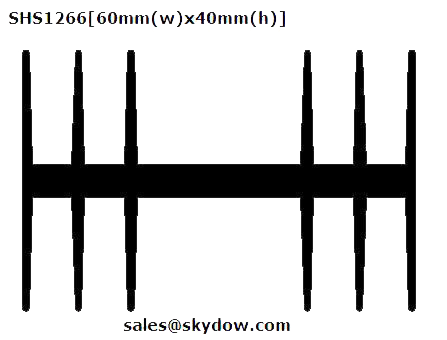 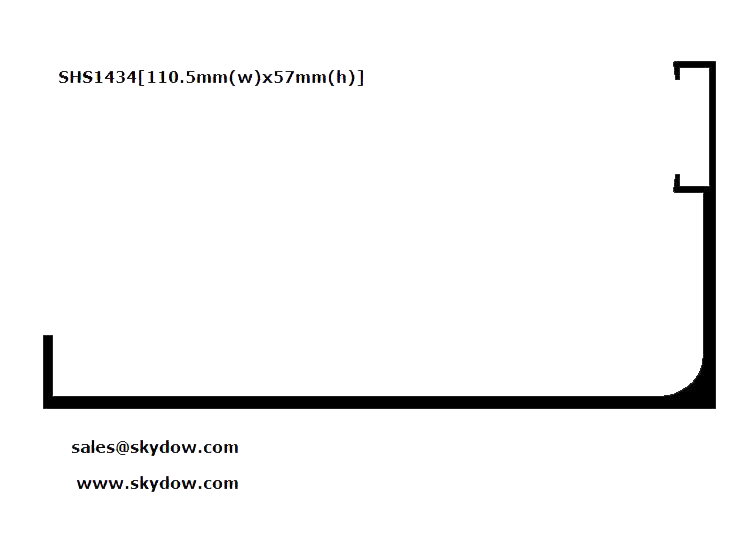 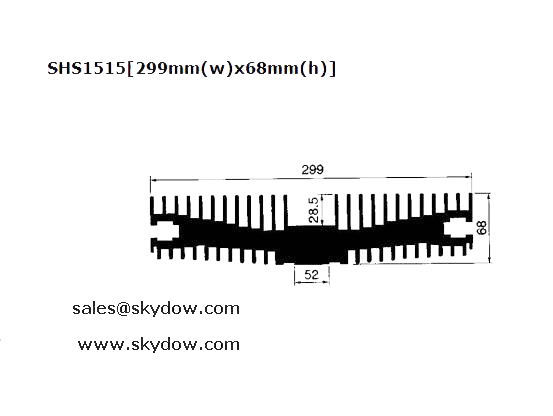 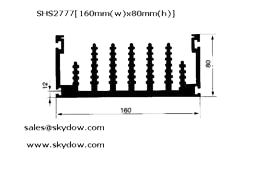 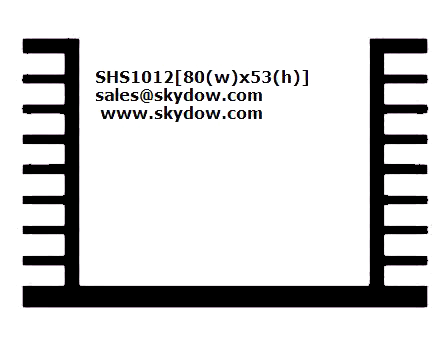 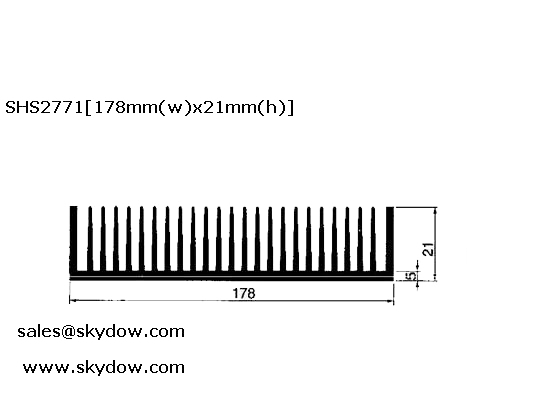 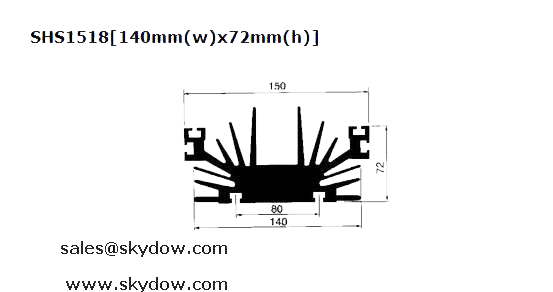 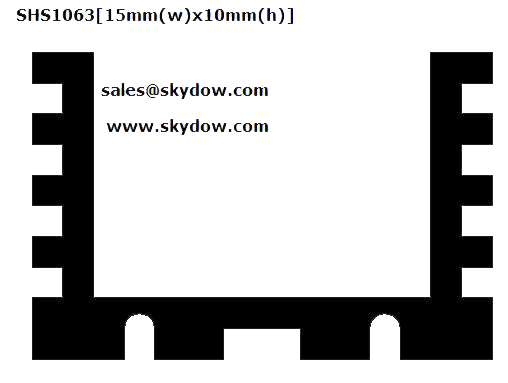 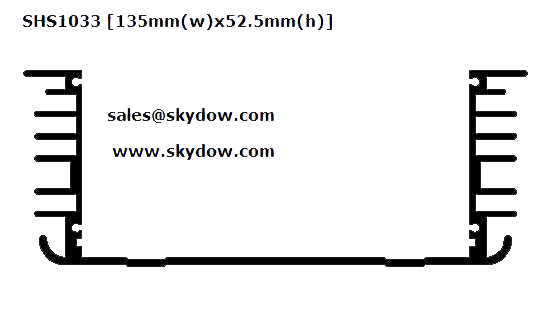 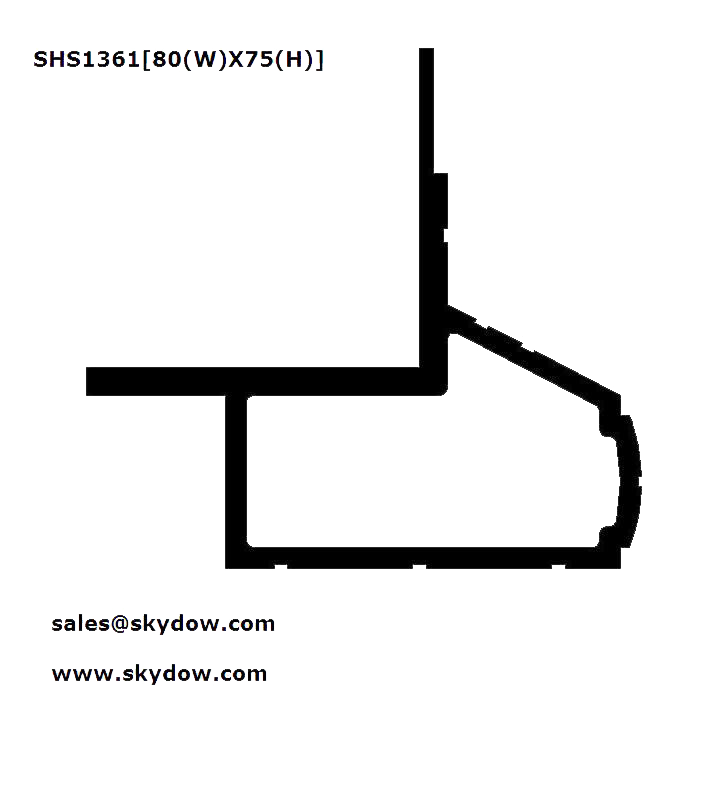 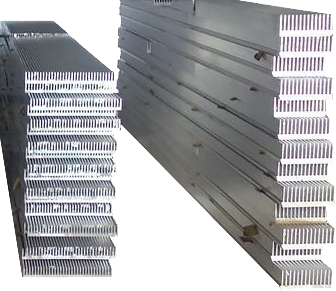 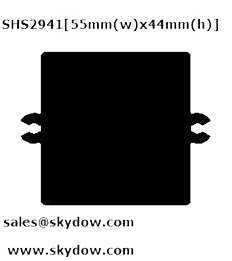 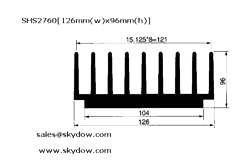 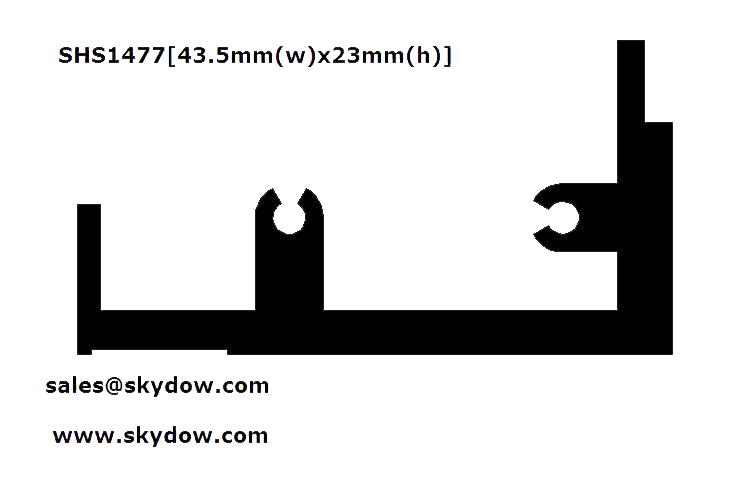 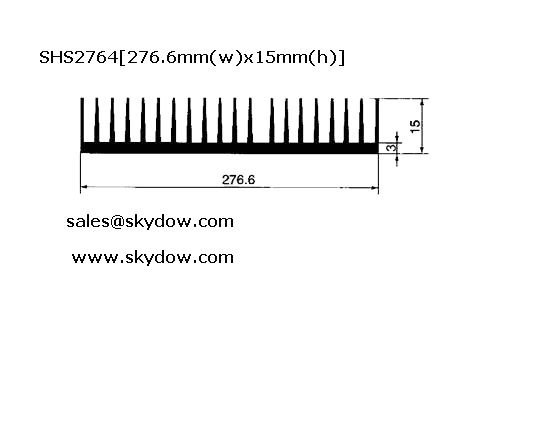 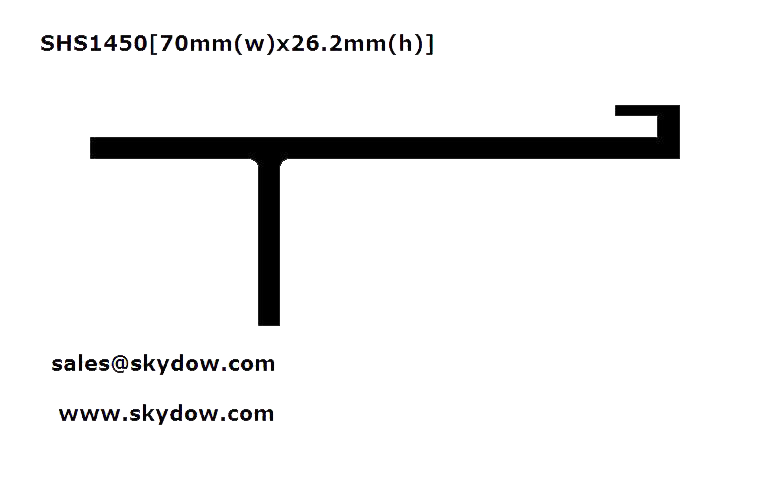 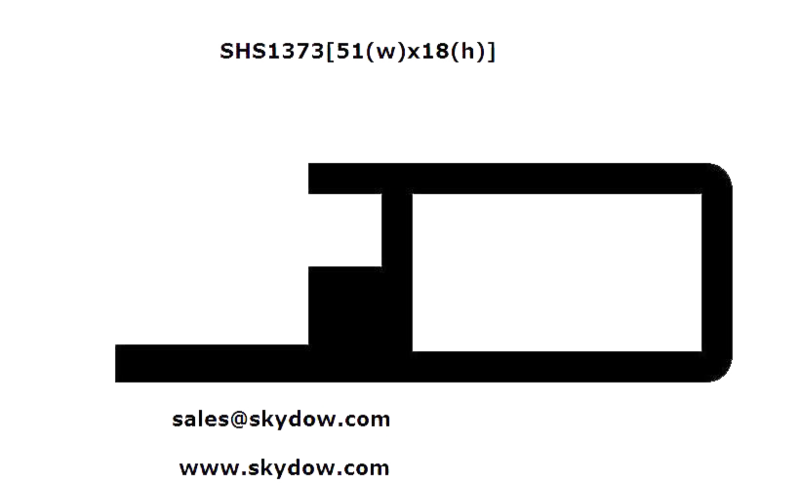 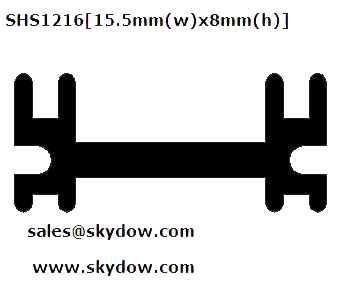 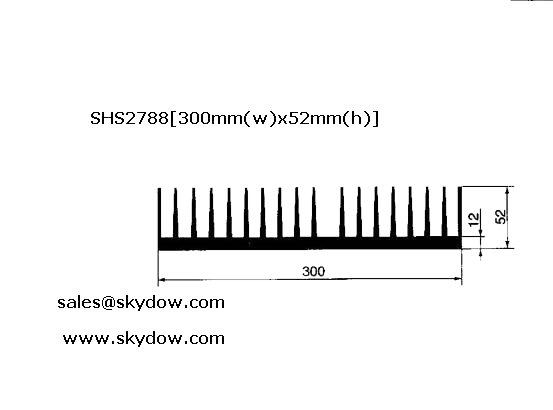 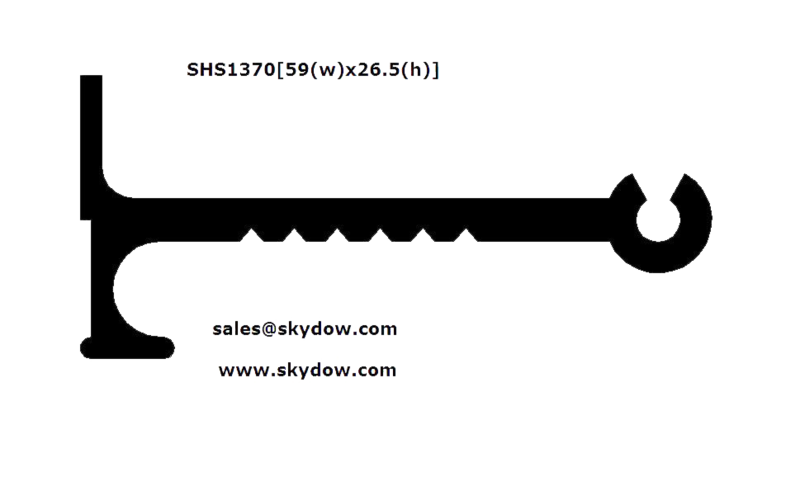 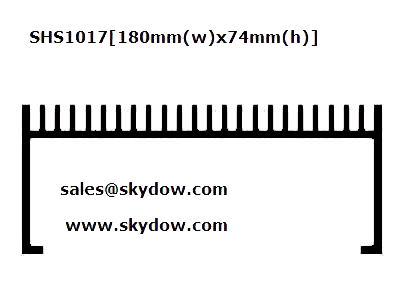 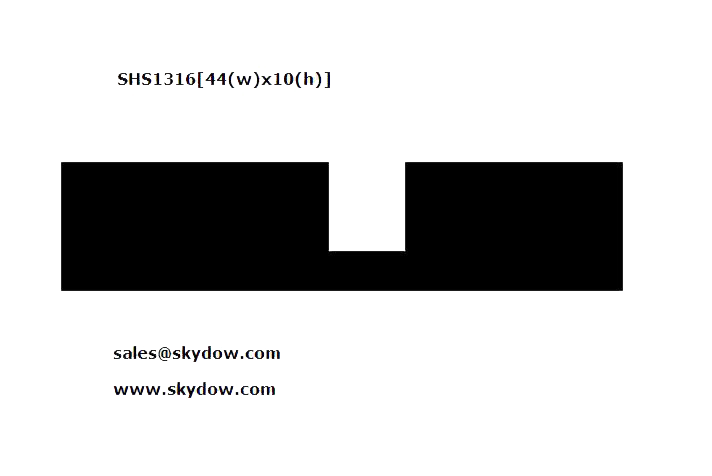 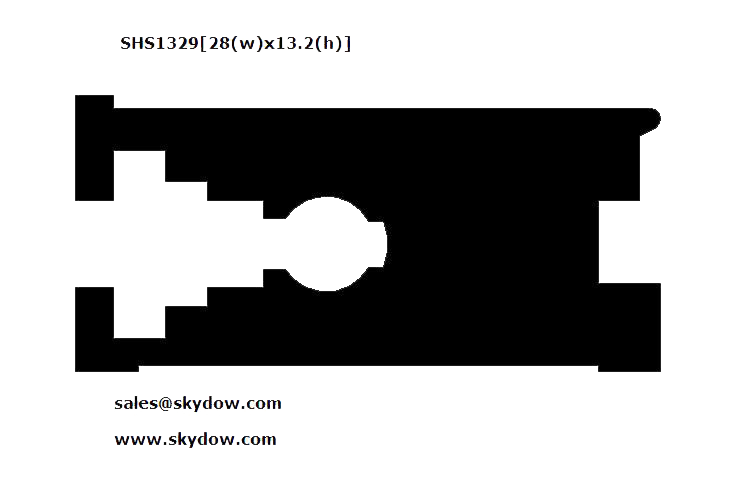 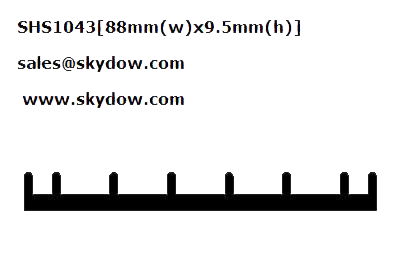 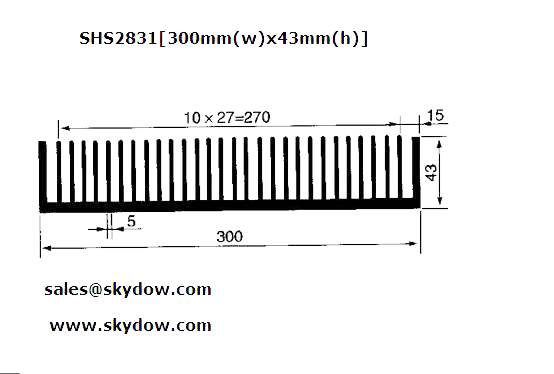 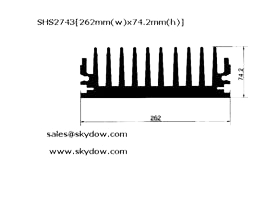 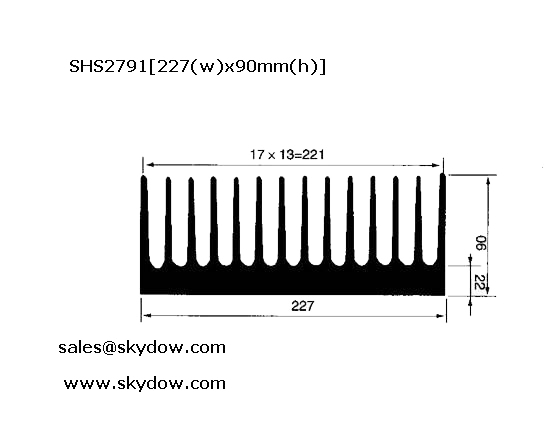 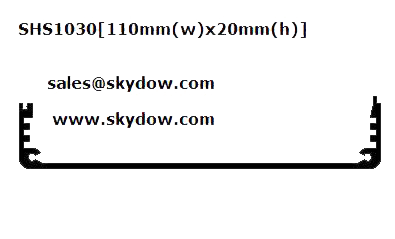 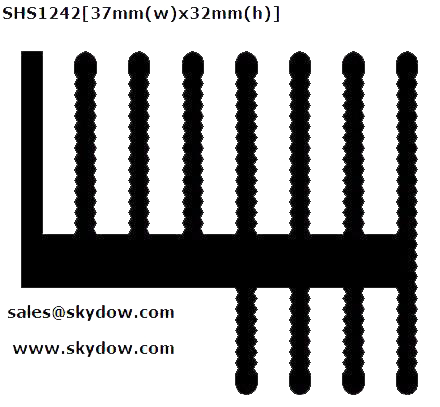 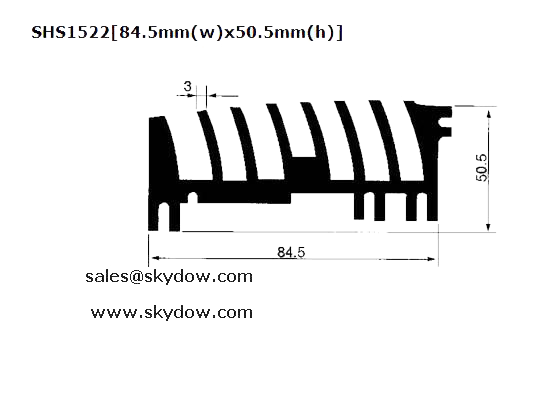 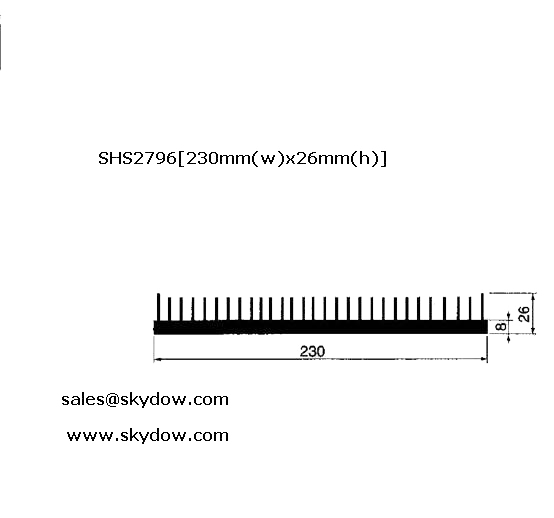 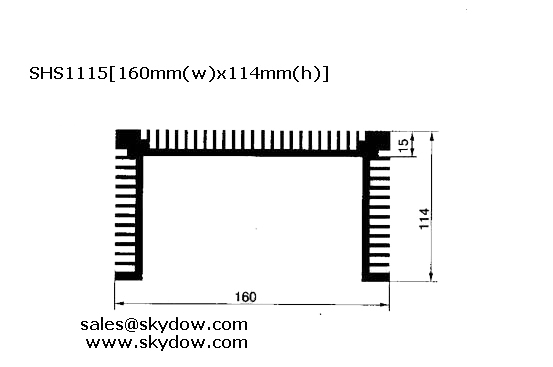 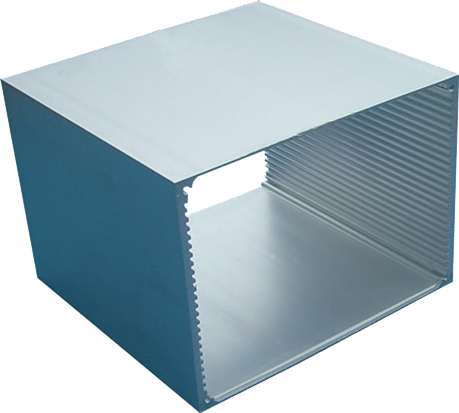 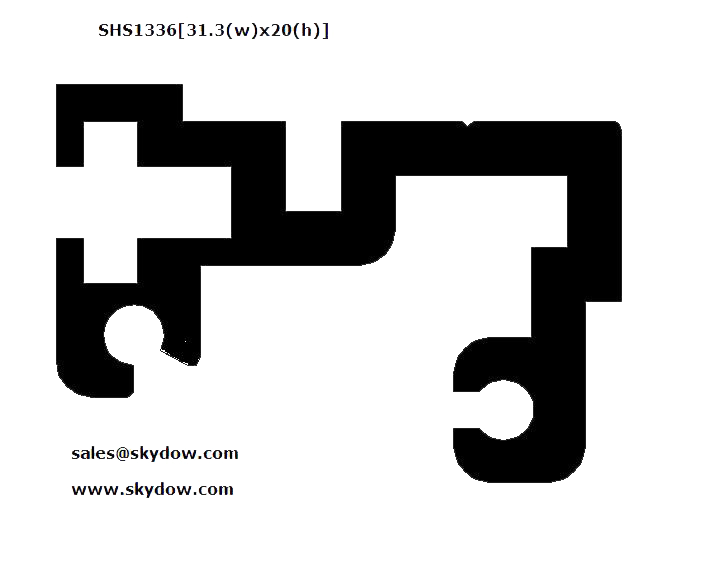 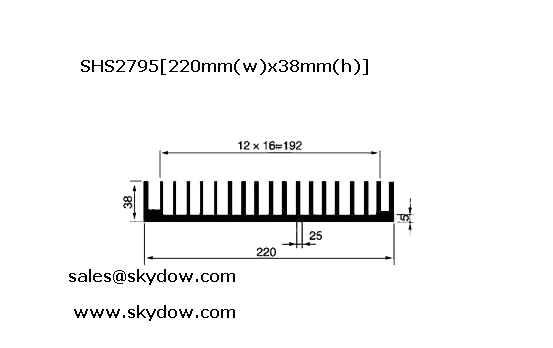 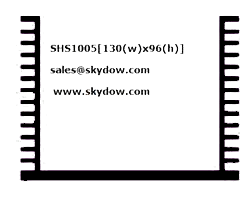 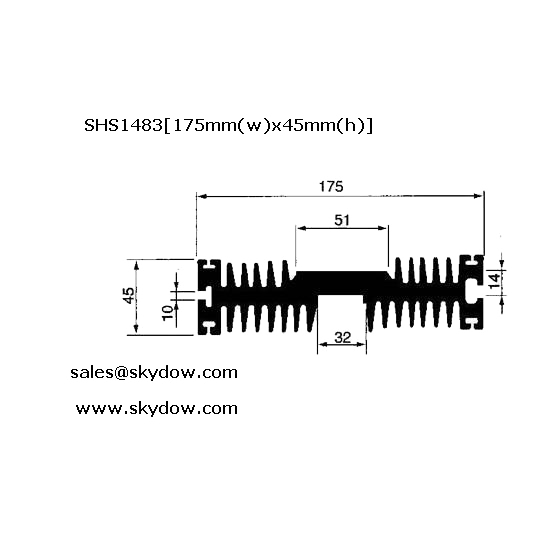 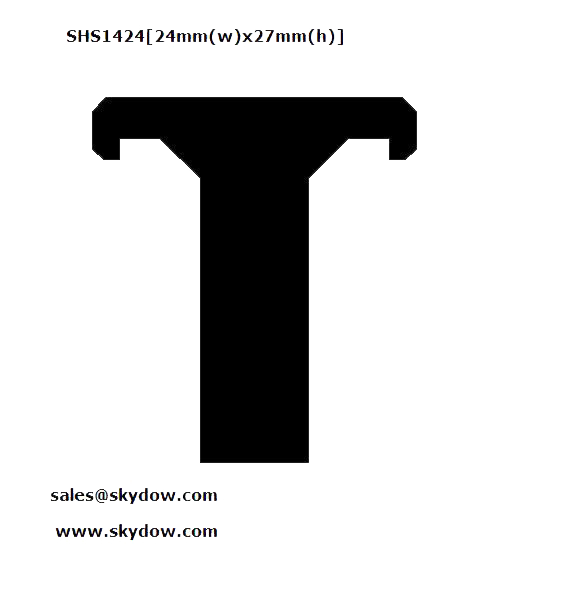 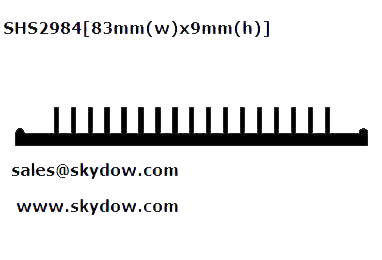 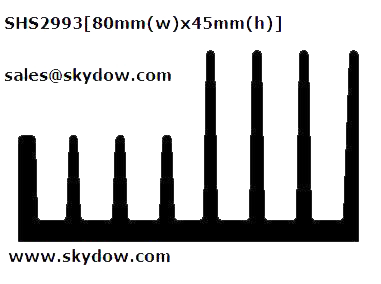 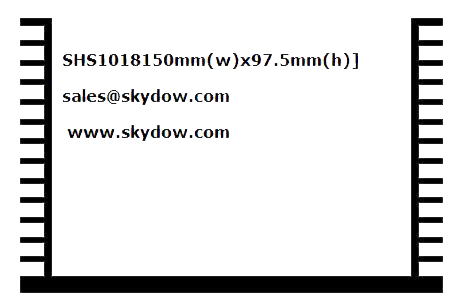 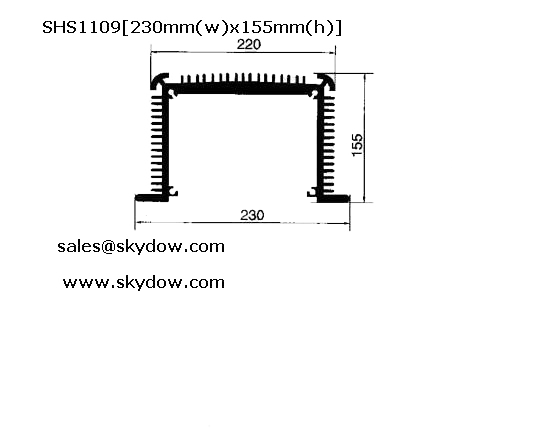 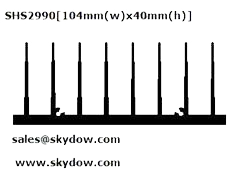 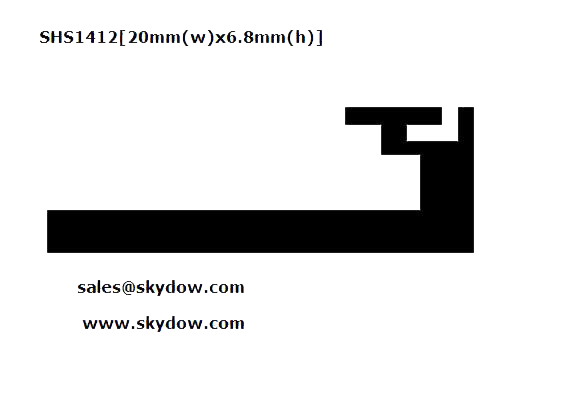 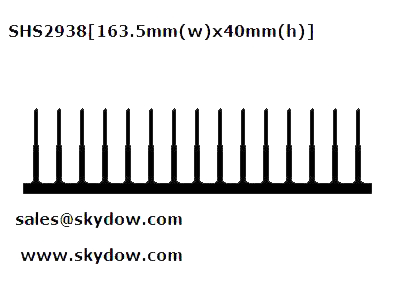 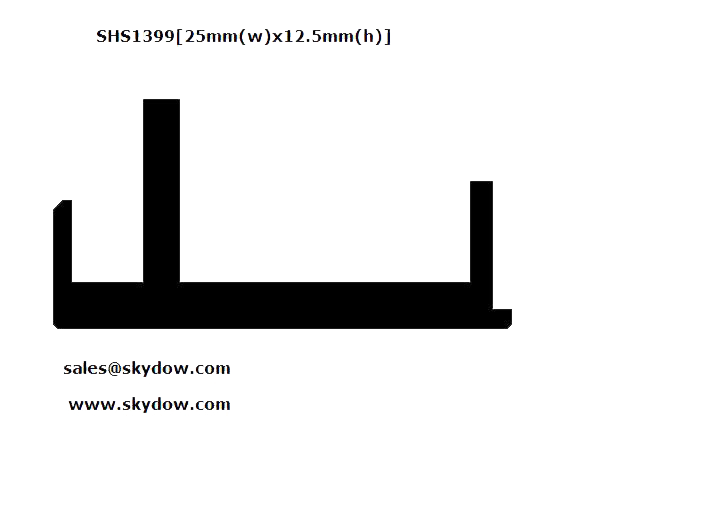 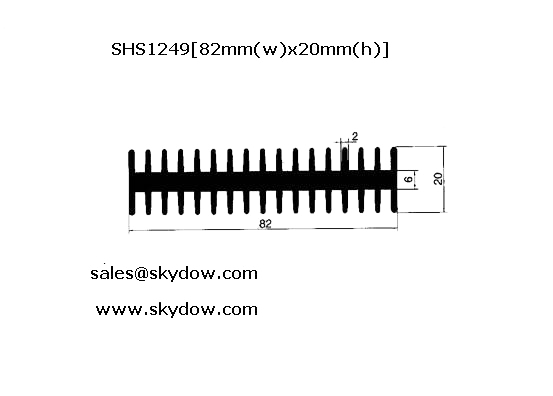 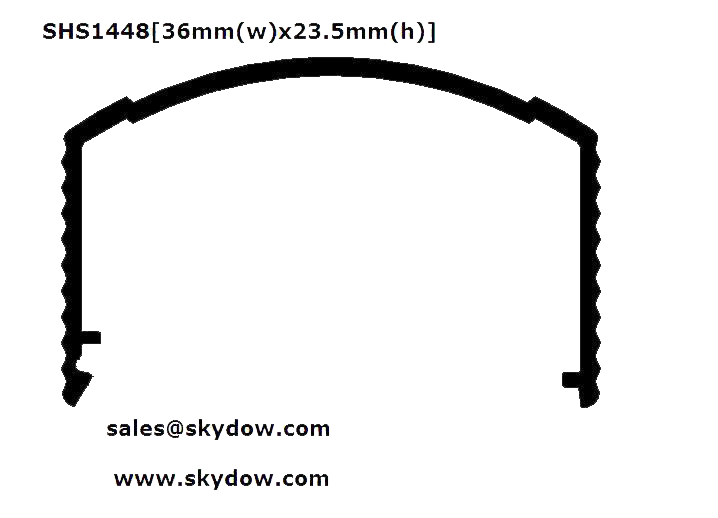 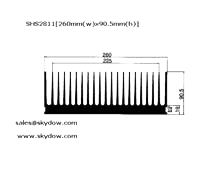 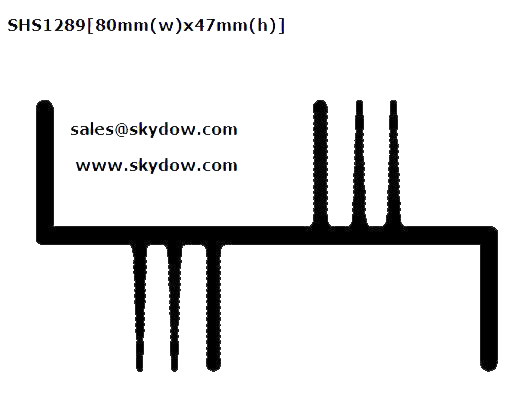 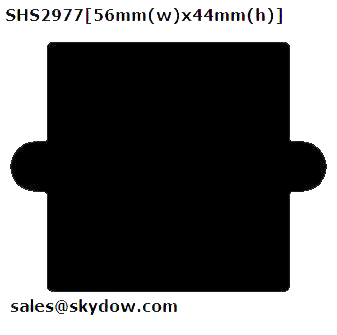 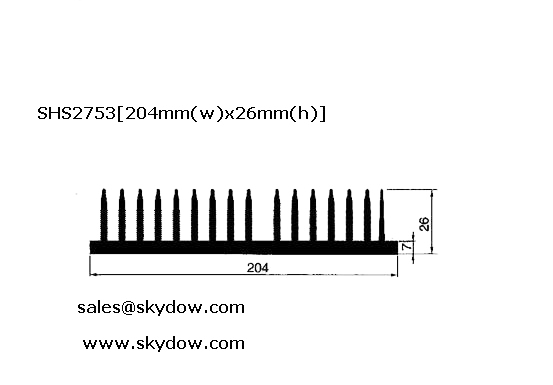 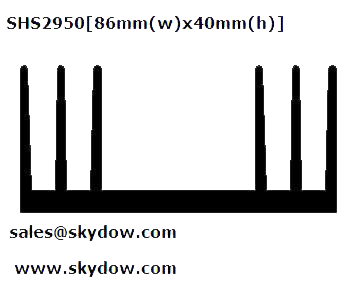 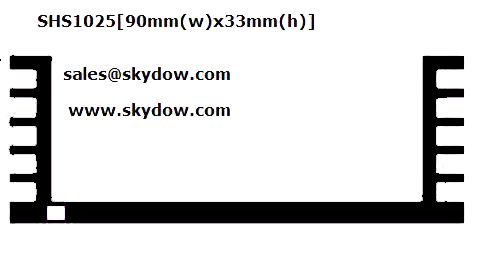 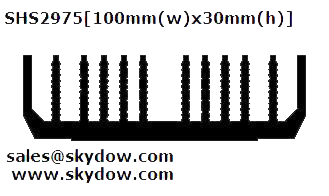 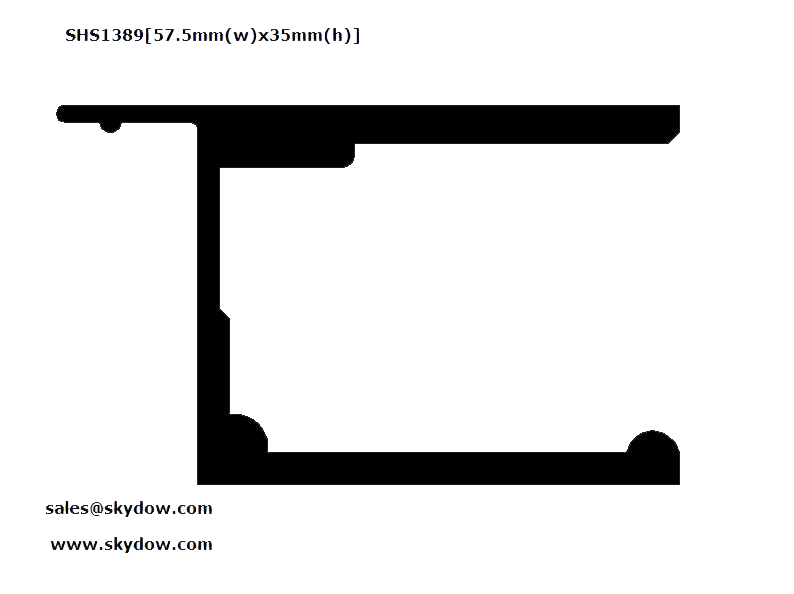 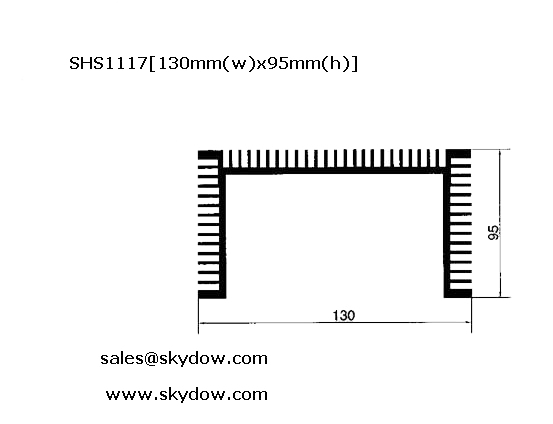 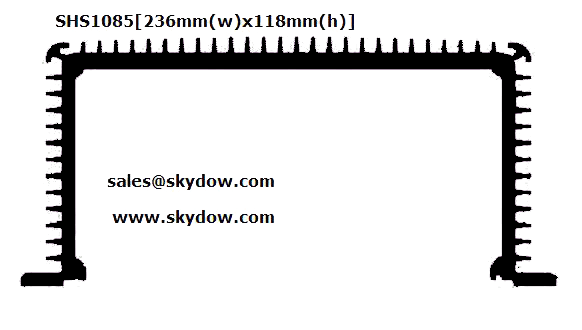 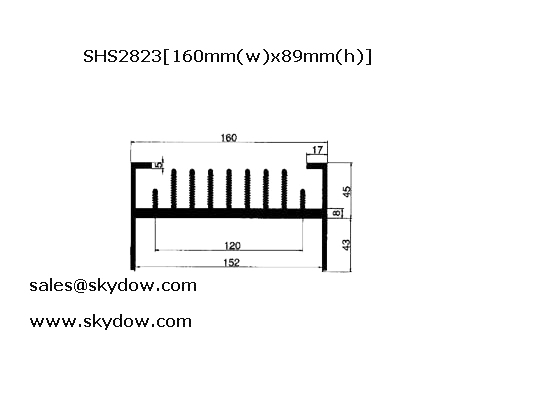 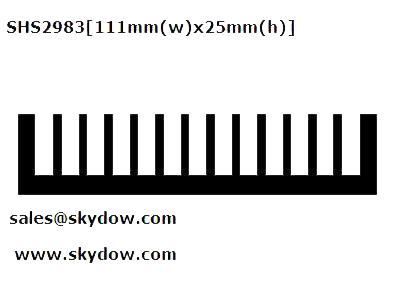 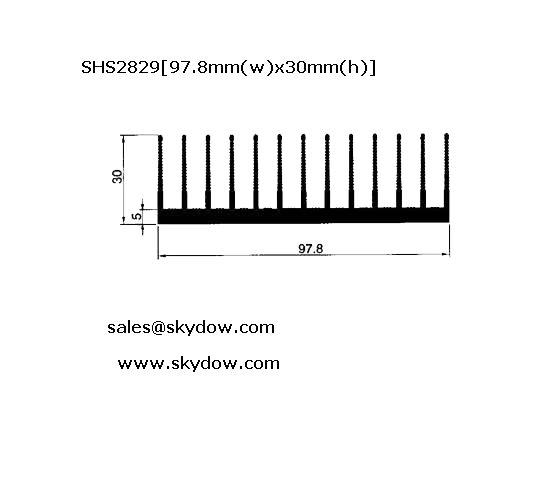 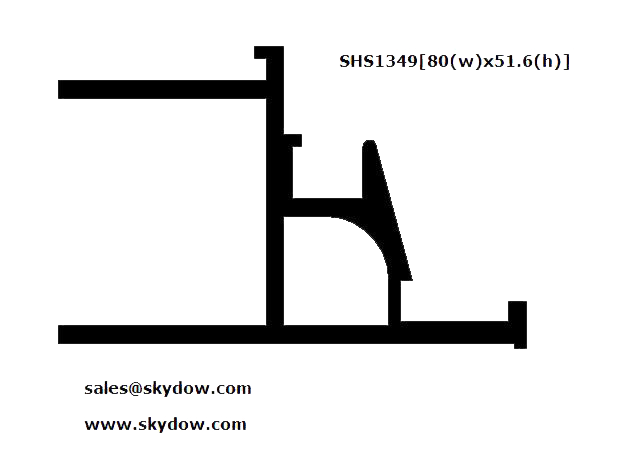 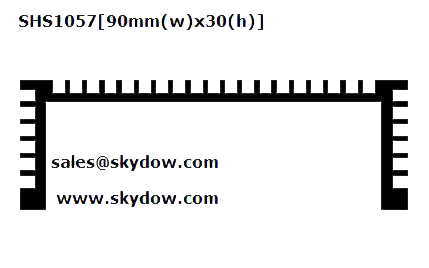 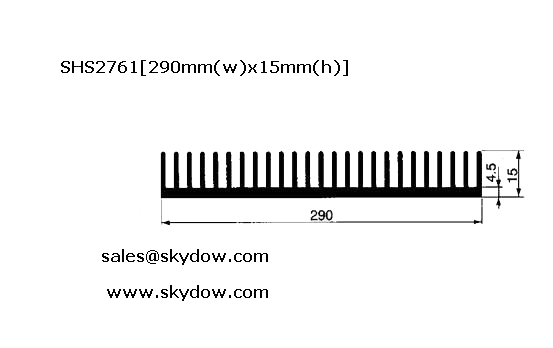 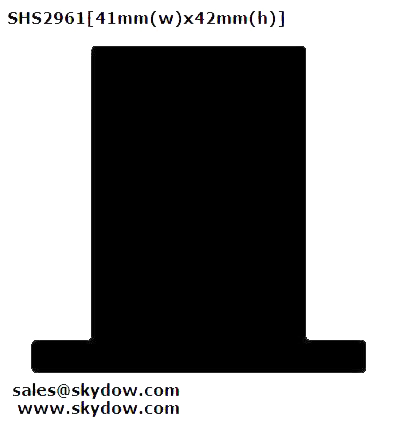 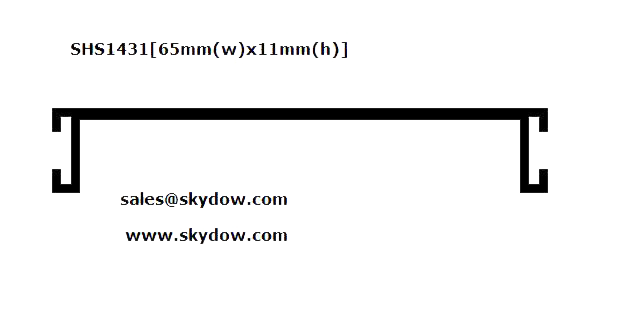 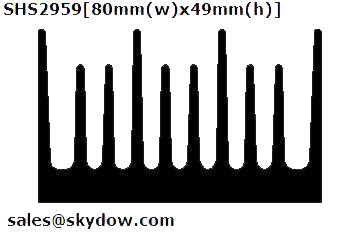 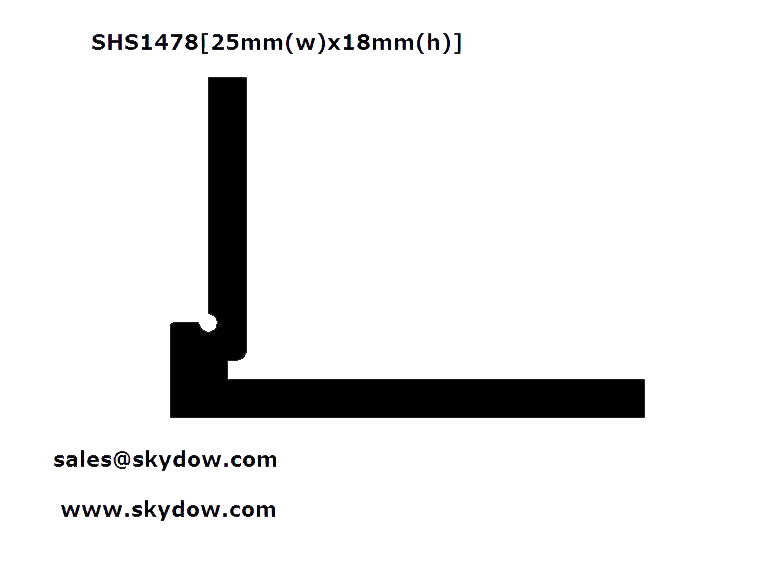 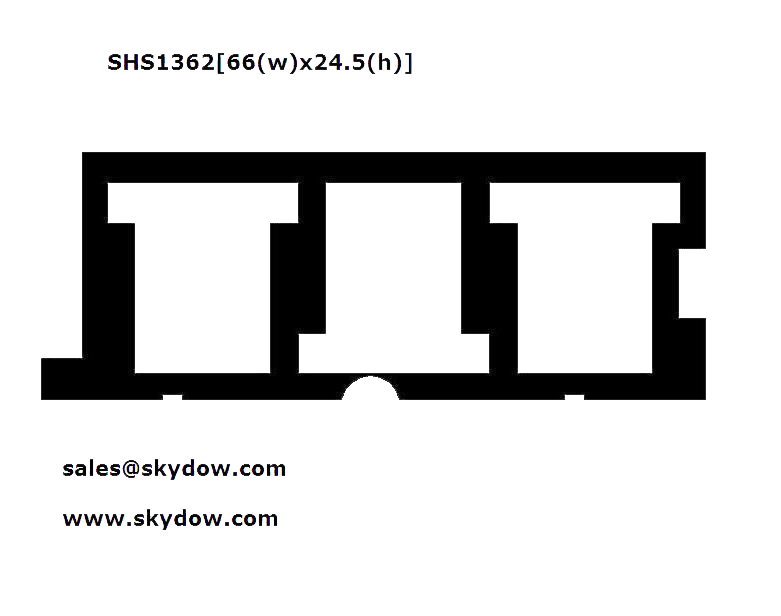 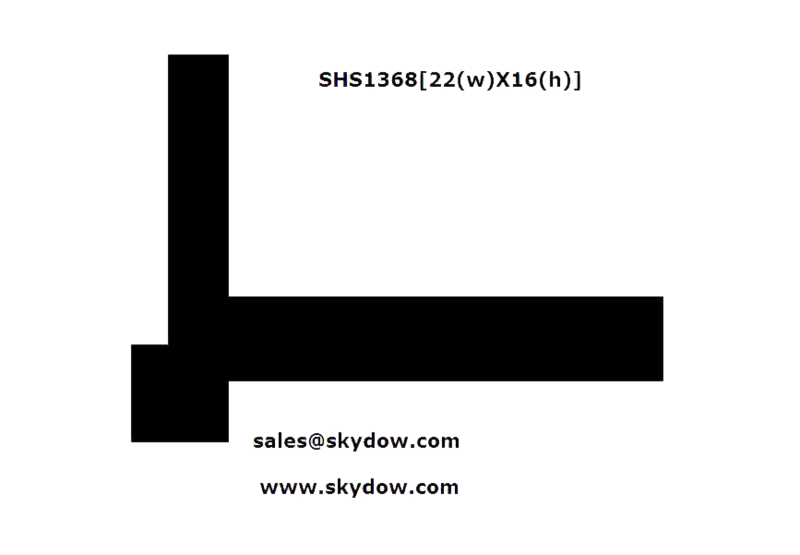 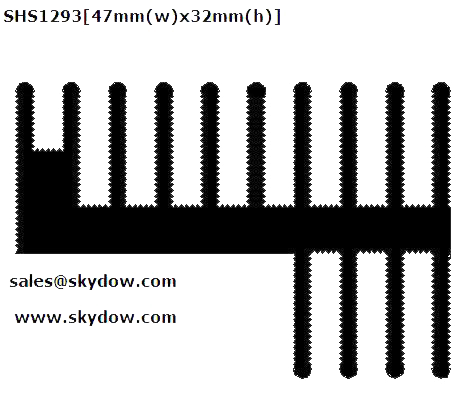 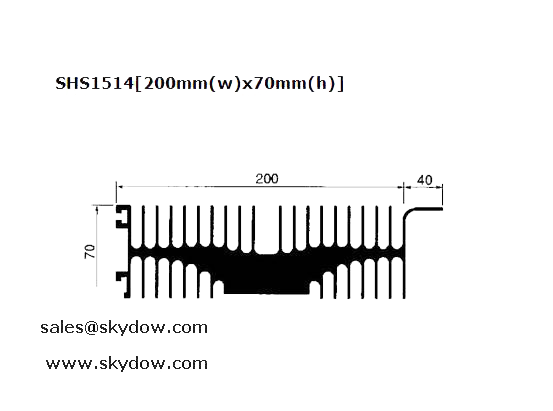 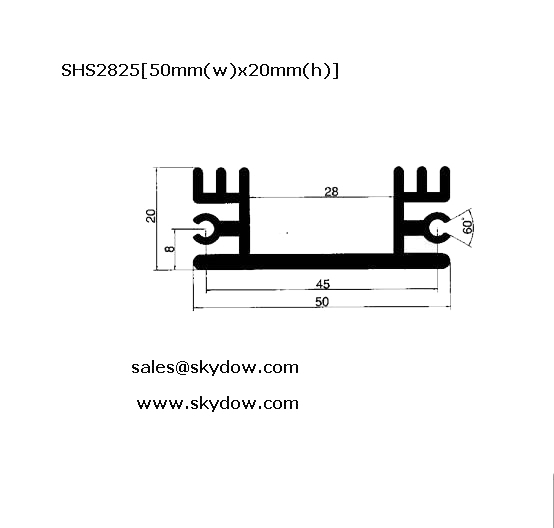 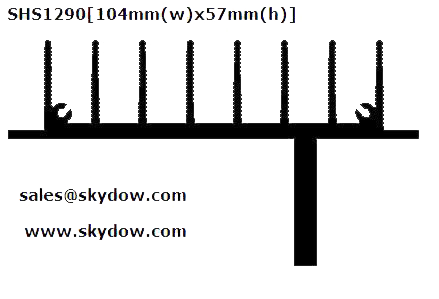 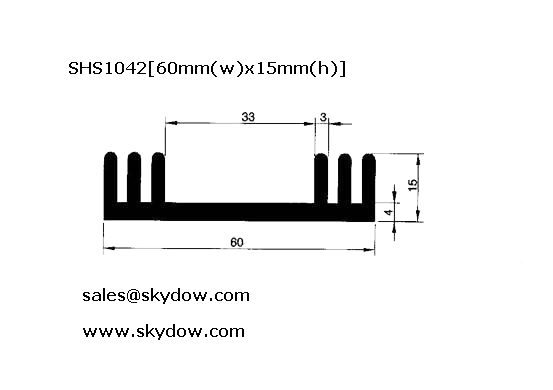 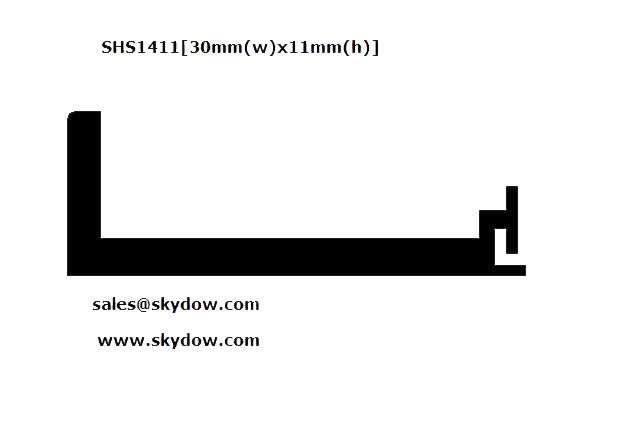 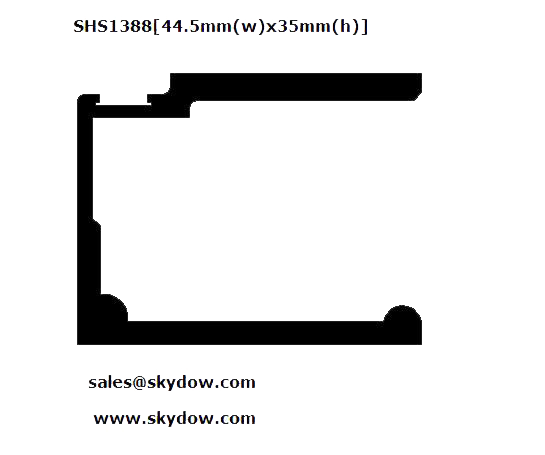 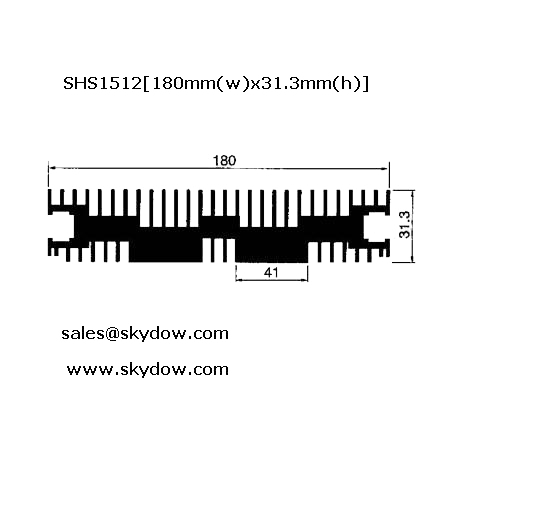 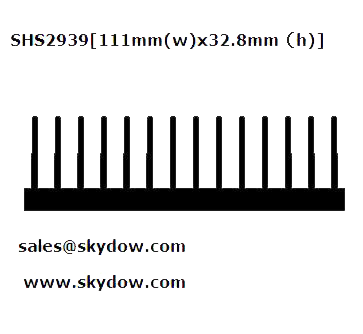 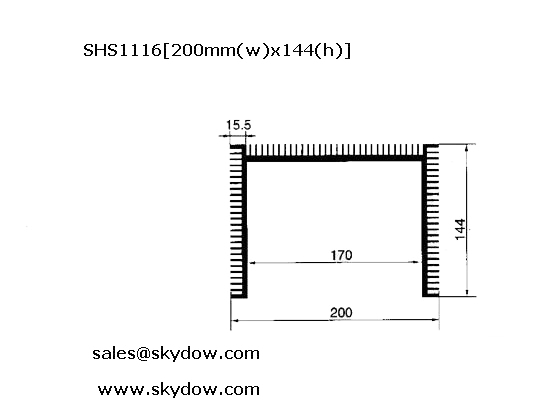 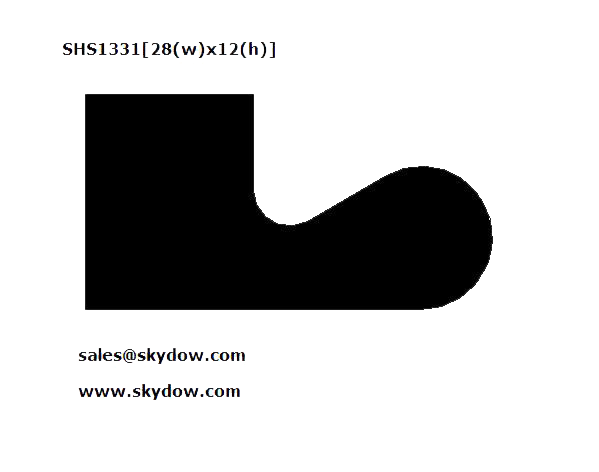 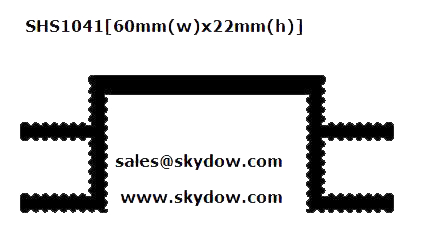 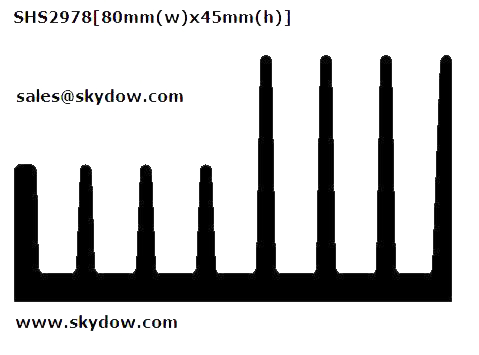 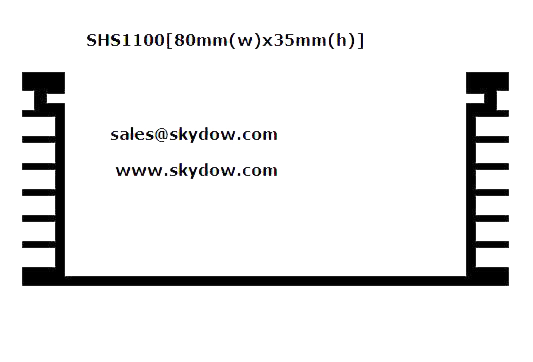 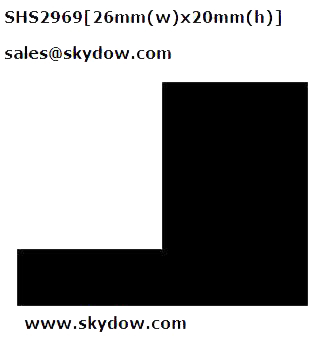 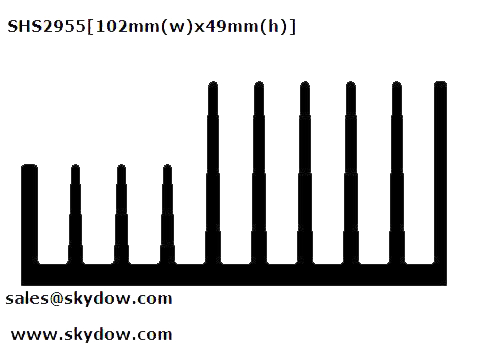 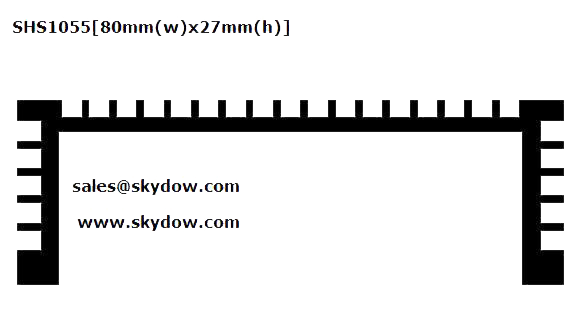 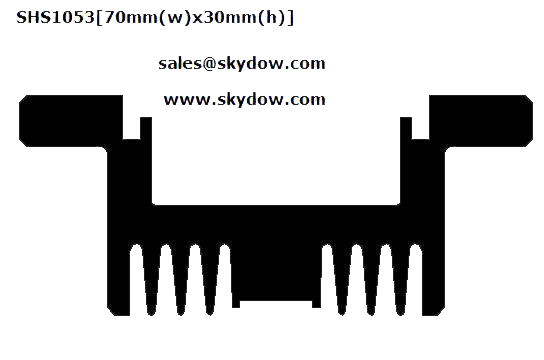 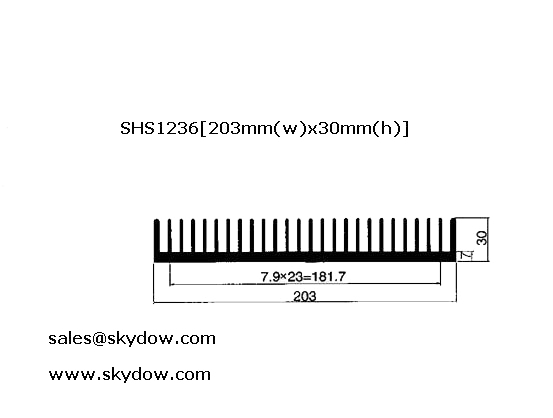 If you want to import aluminum extrusion profiles from Skydow, and please send your email to sales@skydow.com and we can be your much reliable supplier.